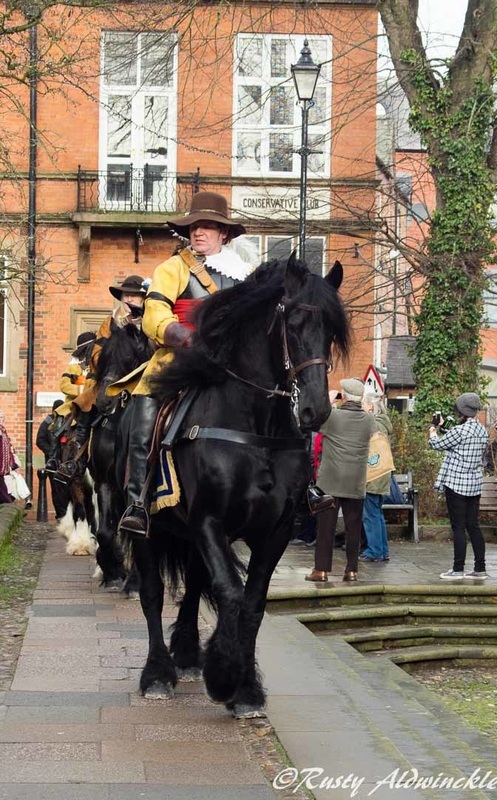 The first Muster of the 2016 Season and what a corker. 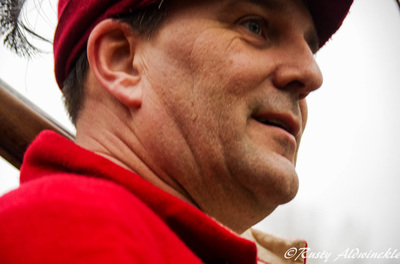 Great weather, great crowds and great company. 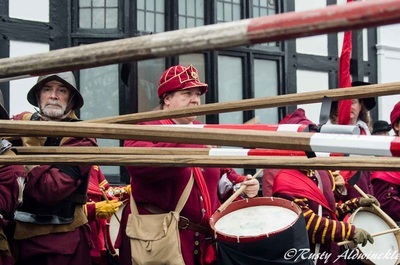 The Sealed Knots thanks have to go to those who support this event year in year out and turn our rain or shine. 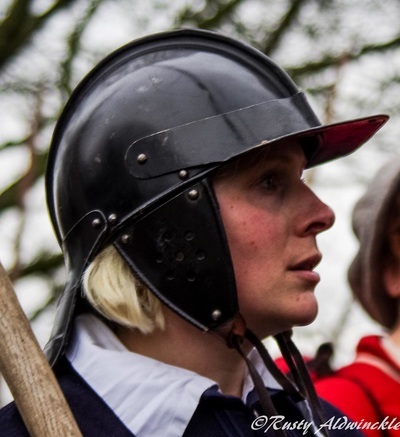 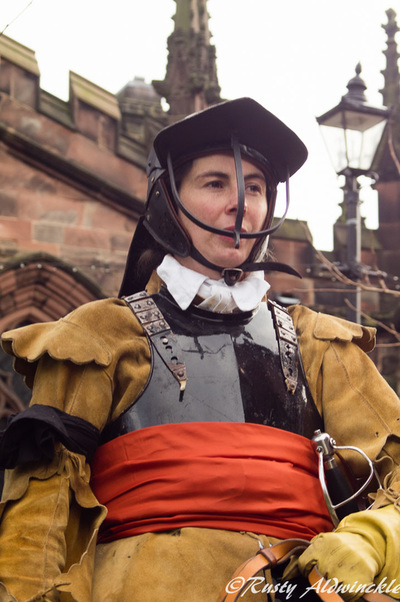 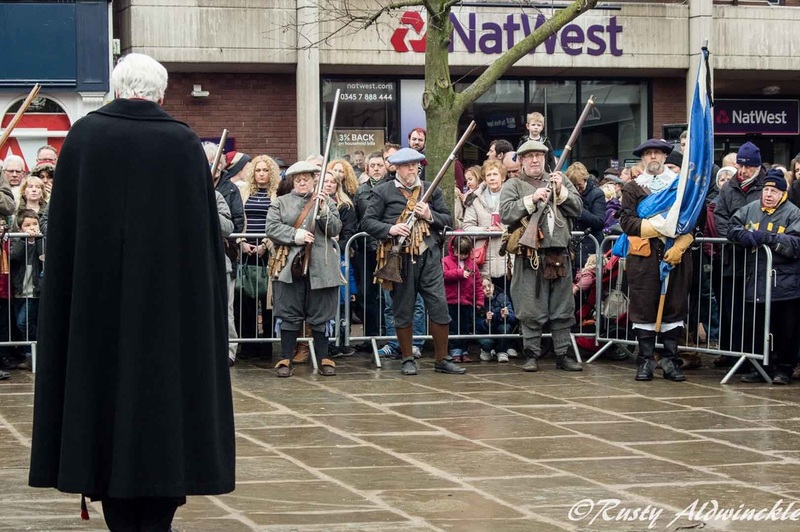 We even had one young lady recall how last year she took refuge in our Living History tent in the square during one deluge. 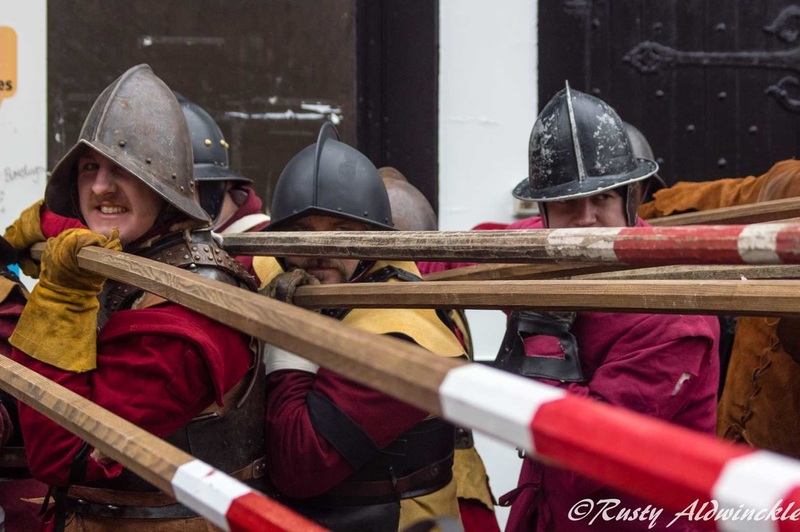 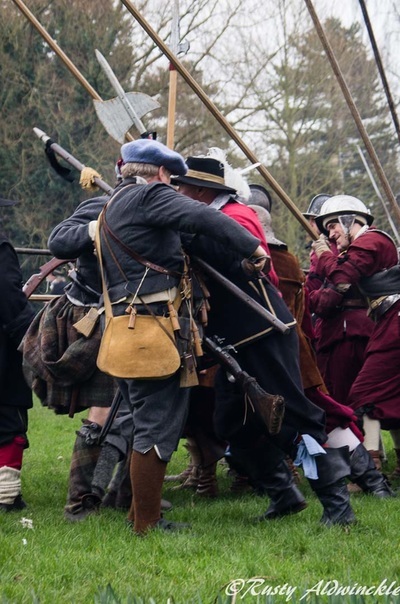 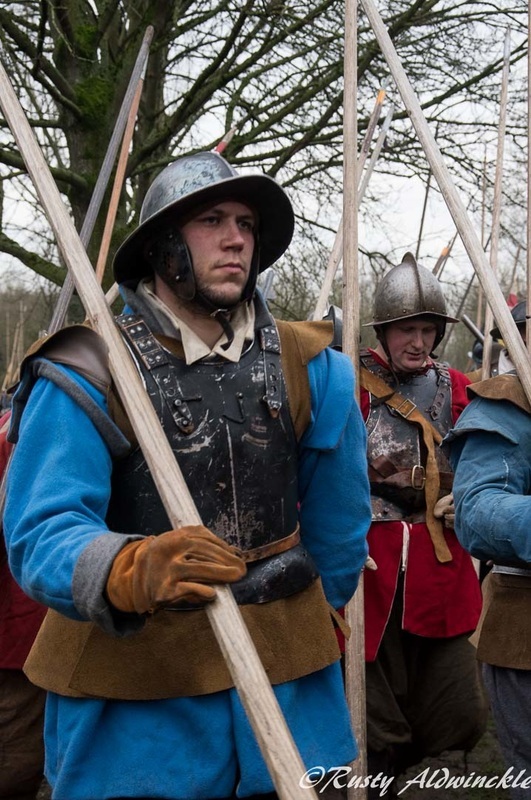 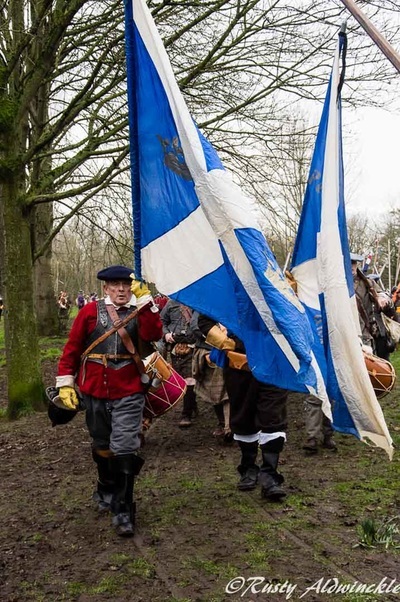 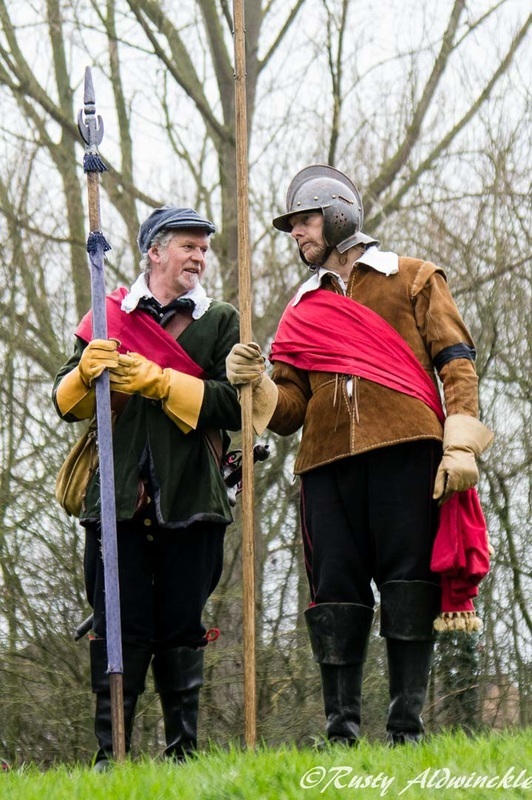 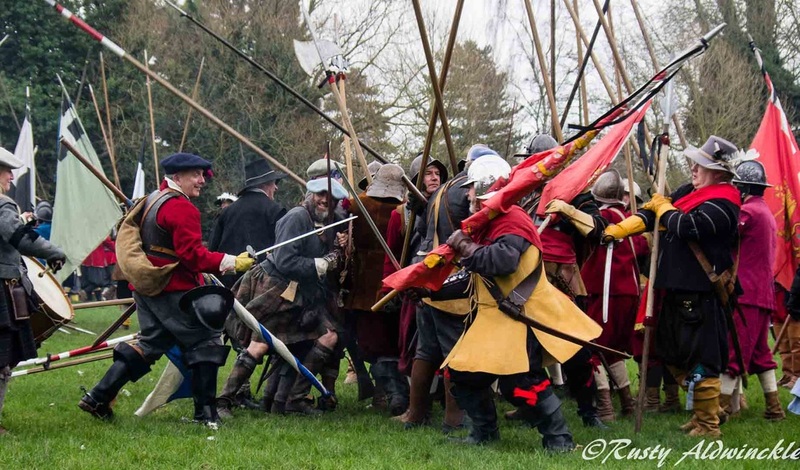 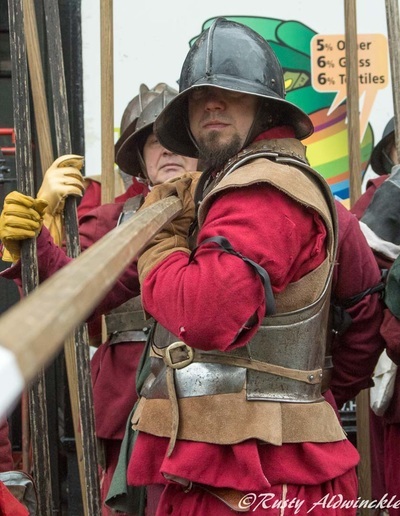 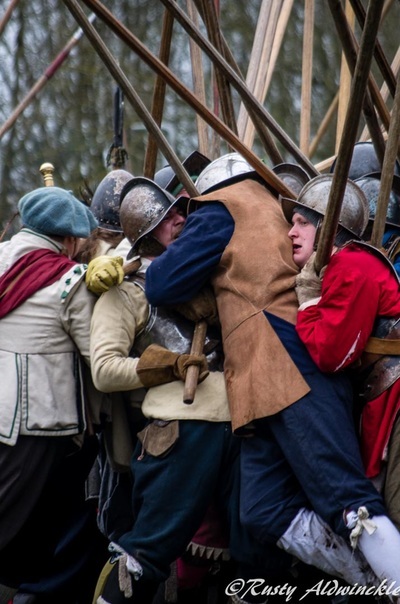 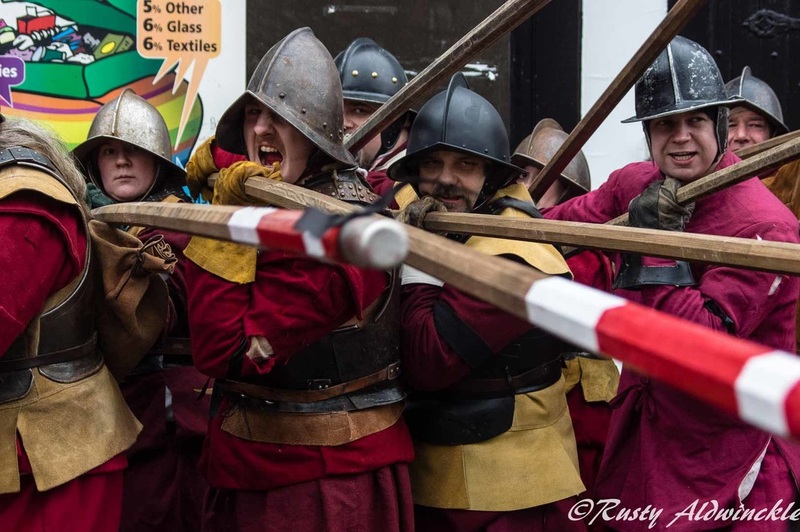 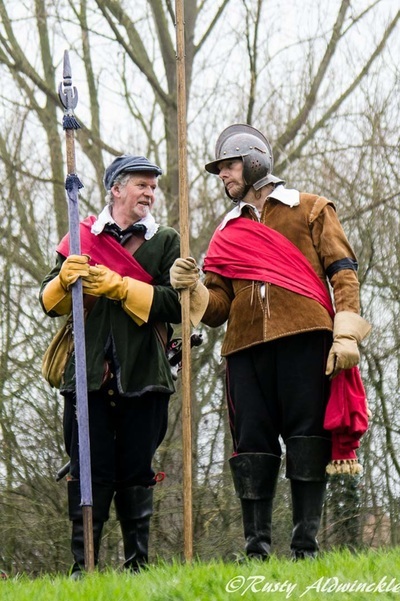 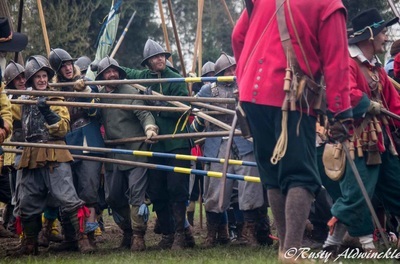 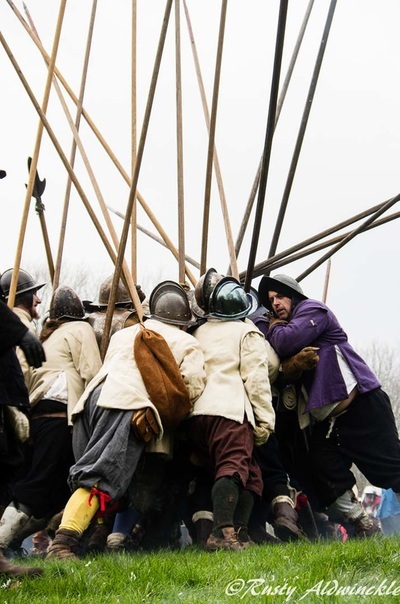 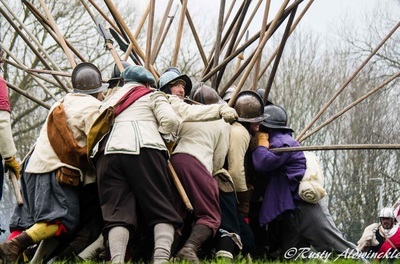 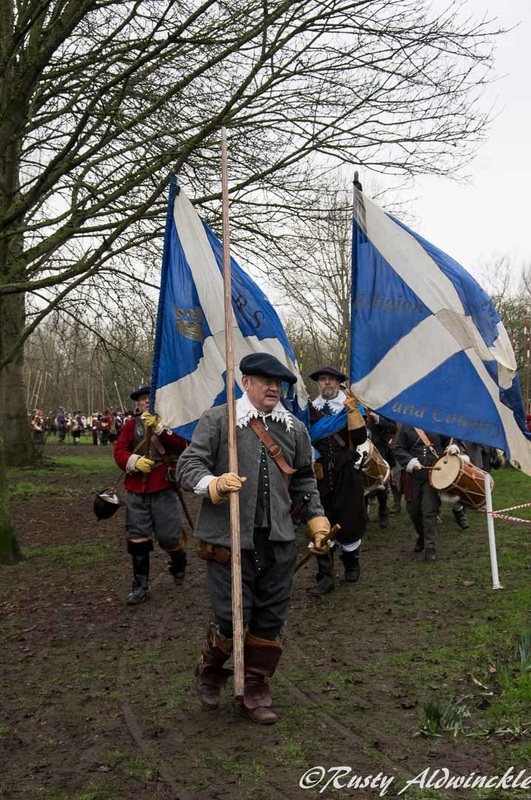 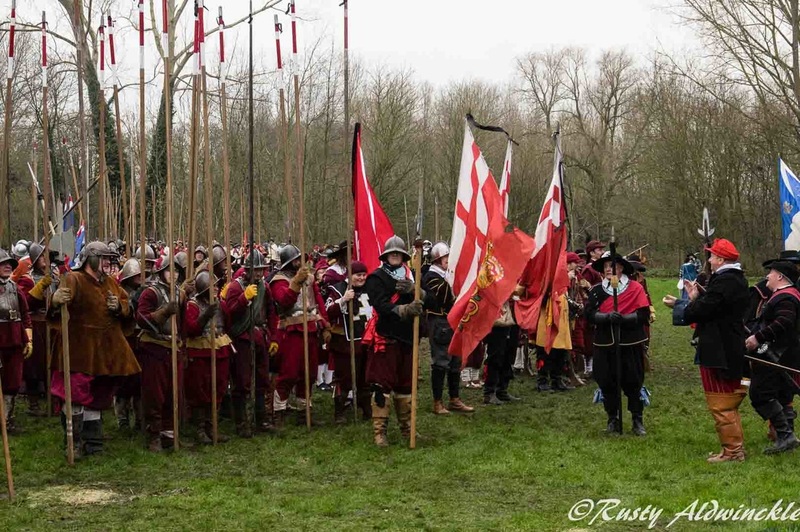 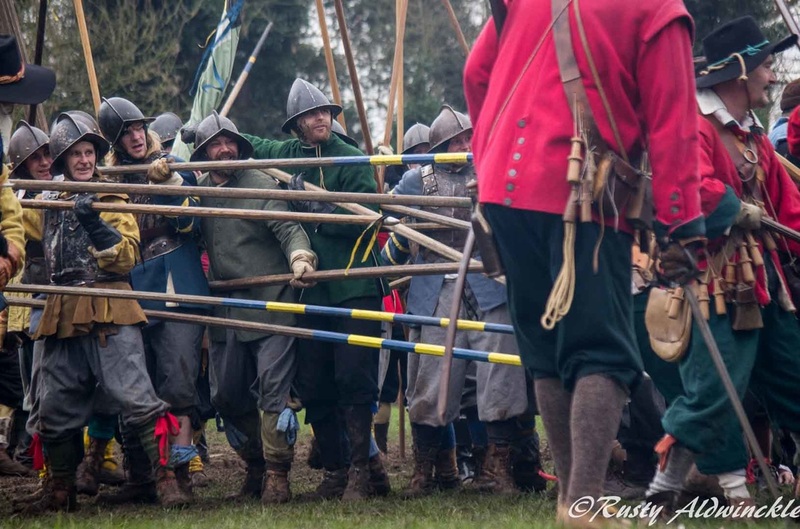 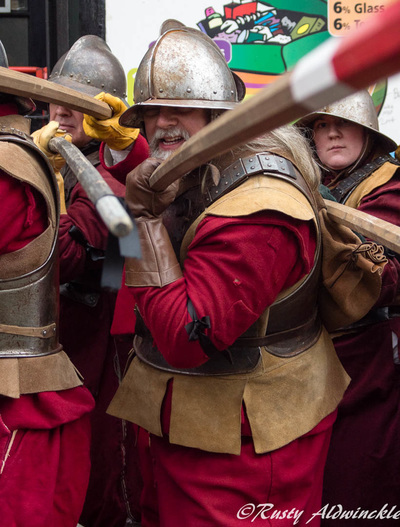 ​Small problem with the battlefield being a little crowded but at least we kept away from the daffodils that have poked their heads up much to our surprise. 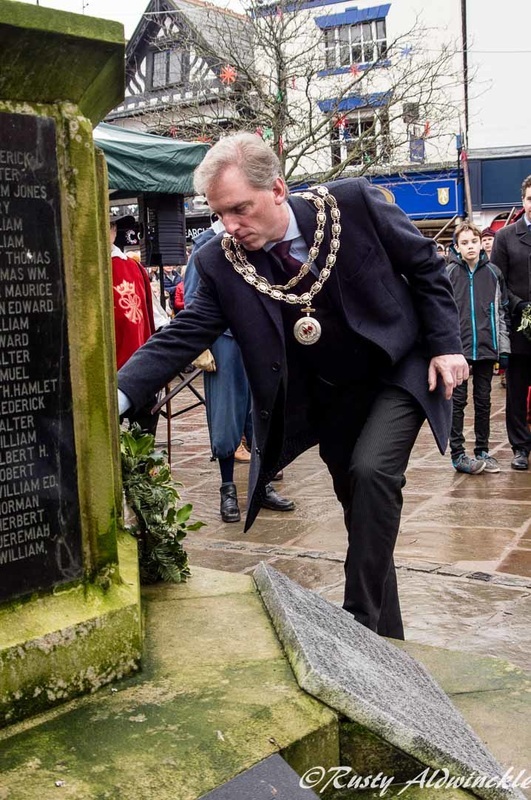 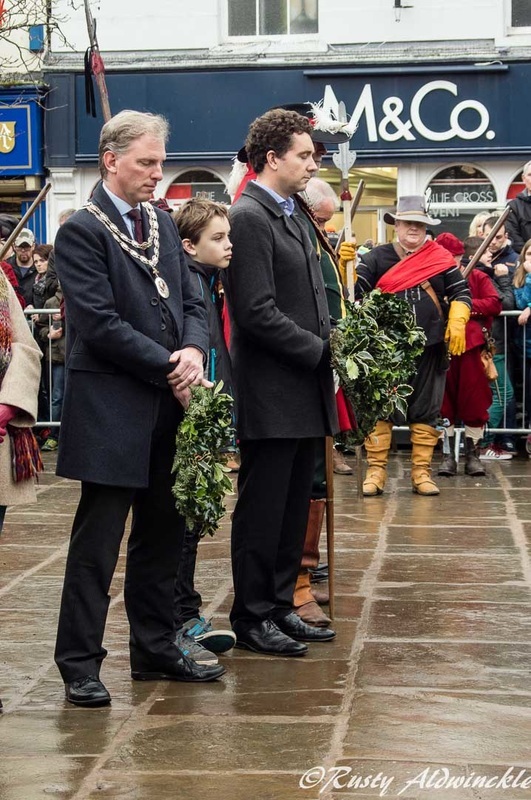 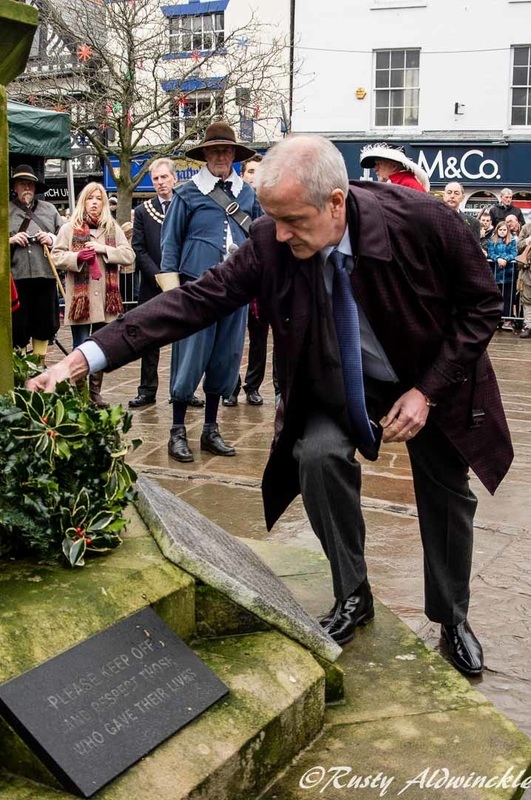 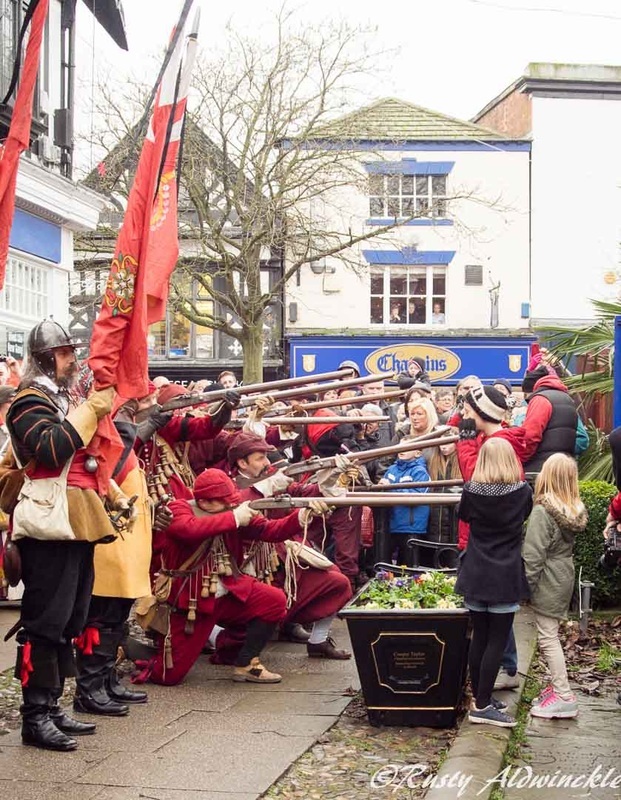 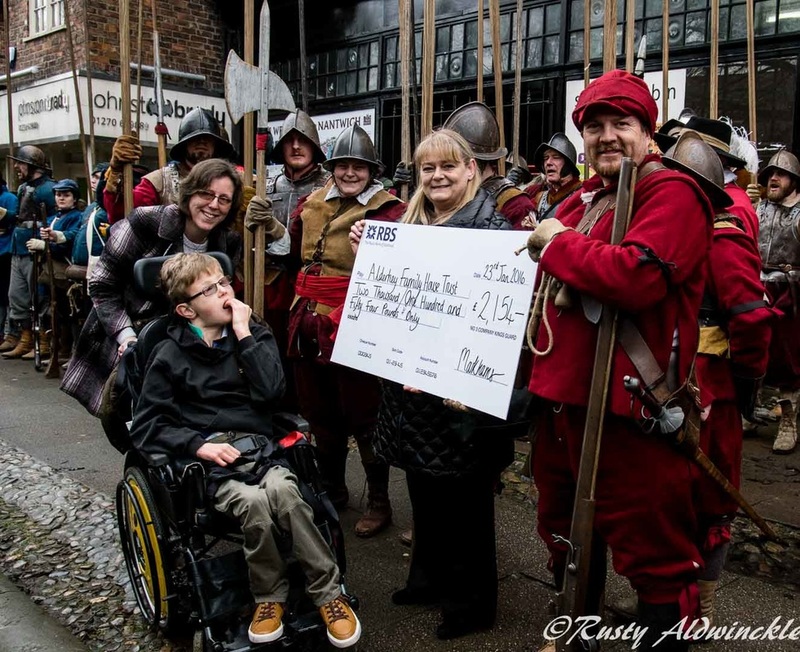 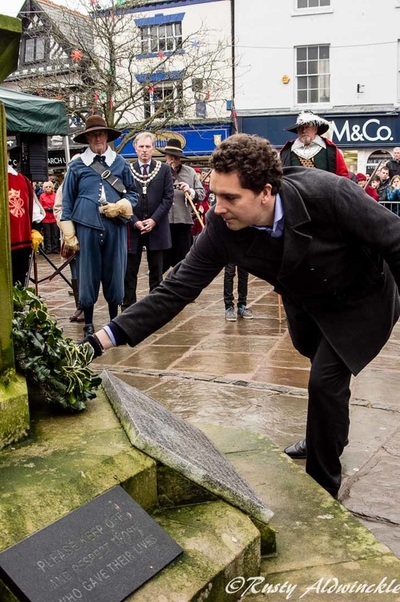 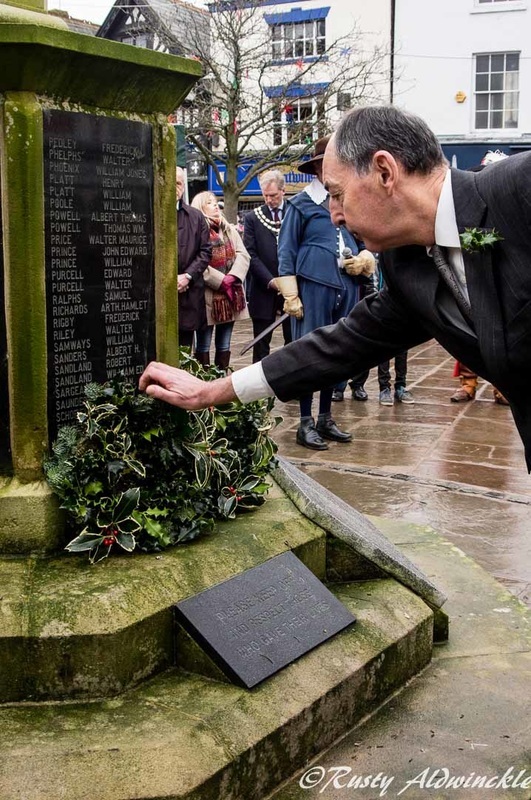 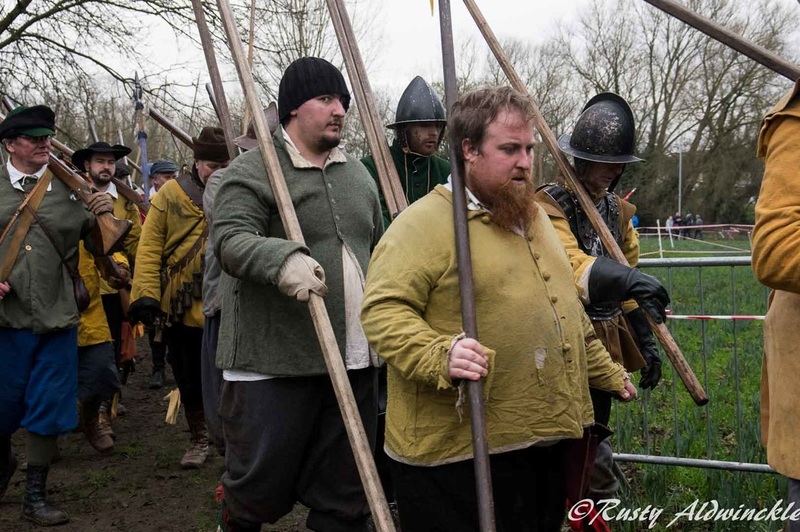 No Sealed Knot member I spoke too could recall seeing daffodils there before when its been time for our battle. 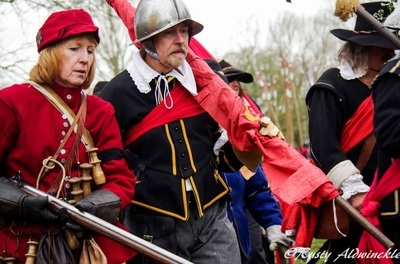 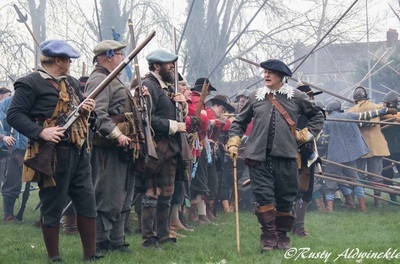 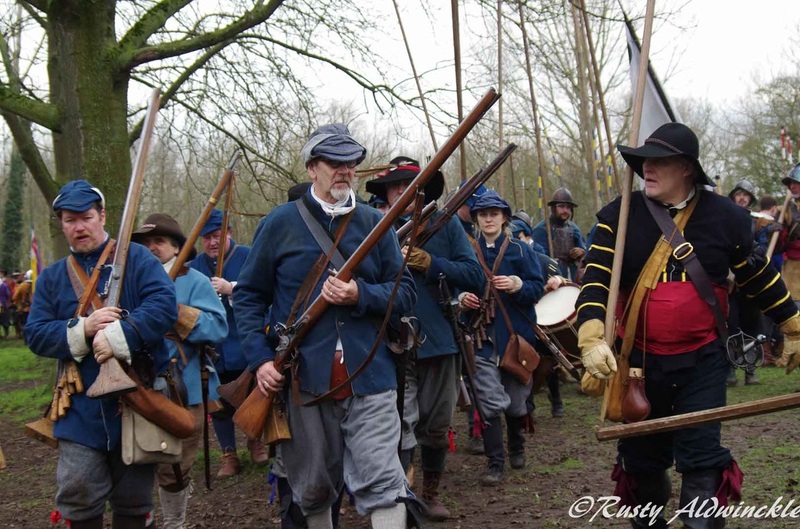 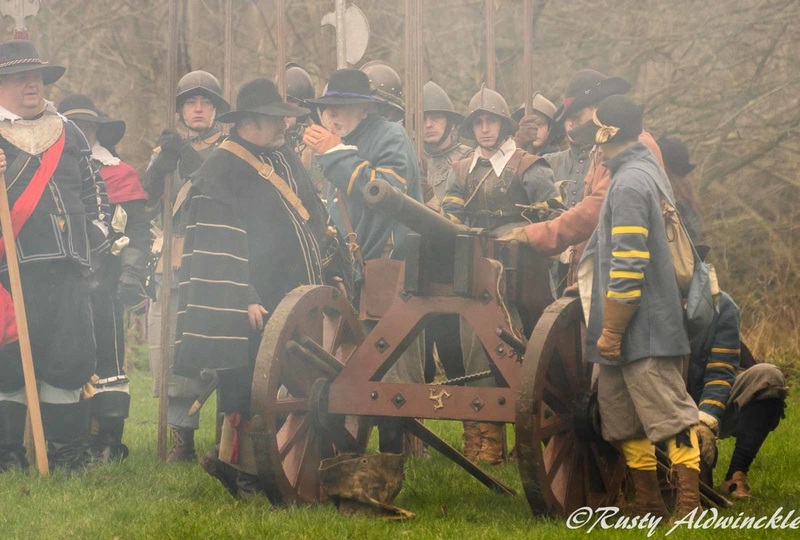 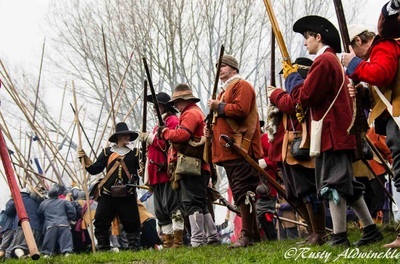 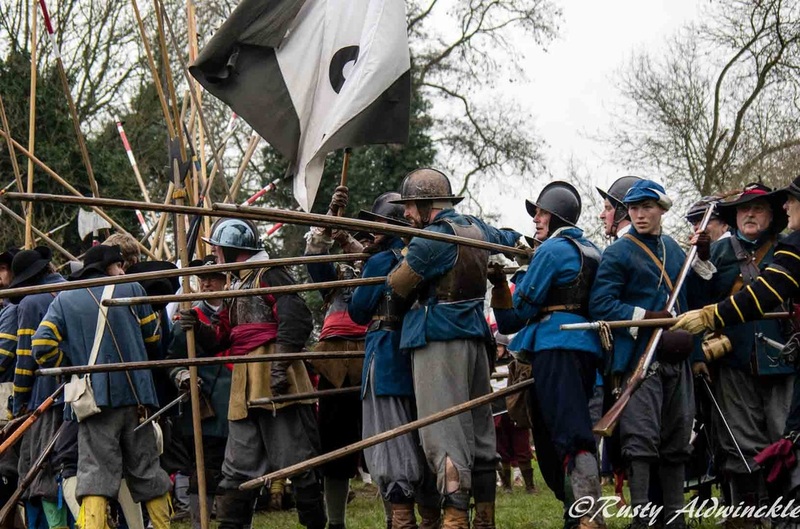 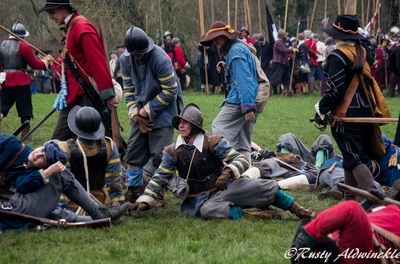 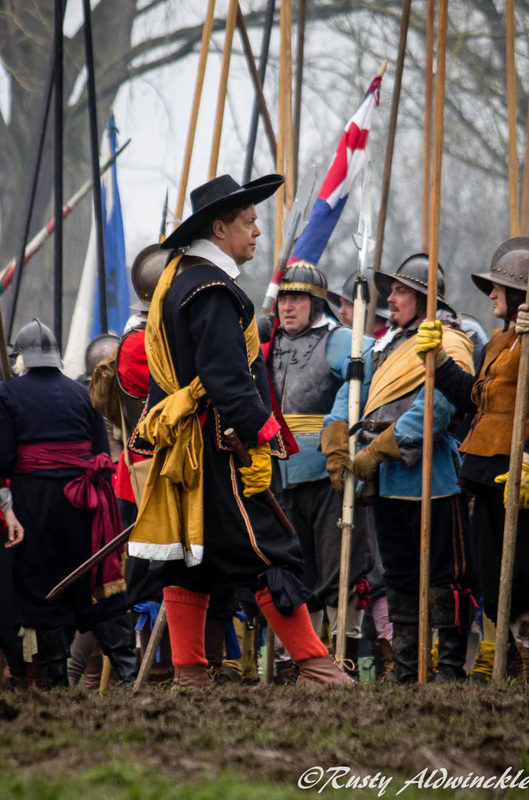 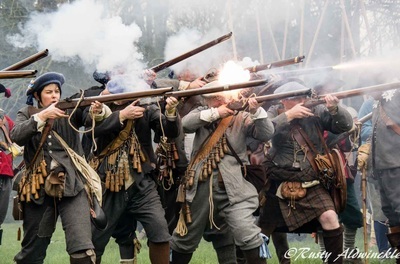 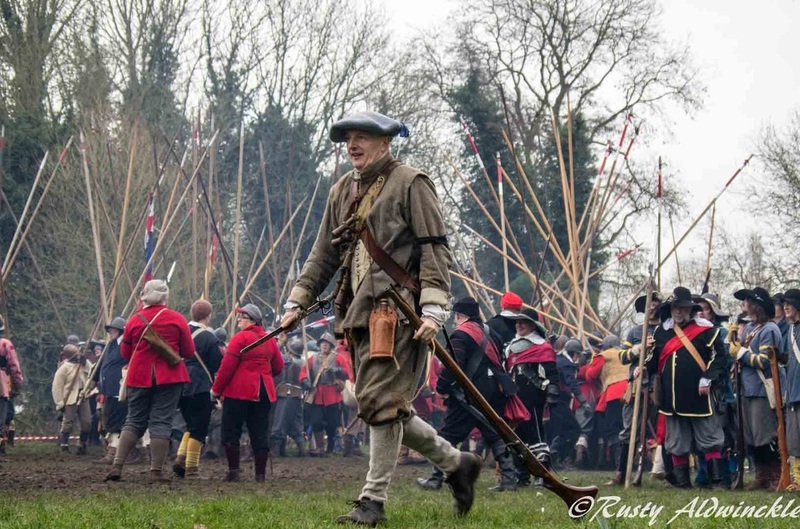 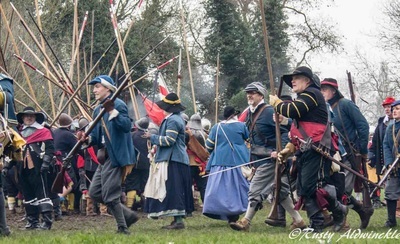 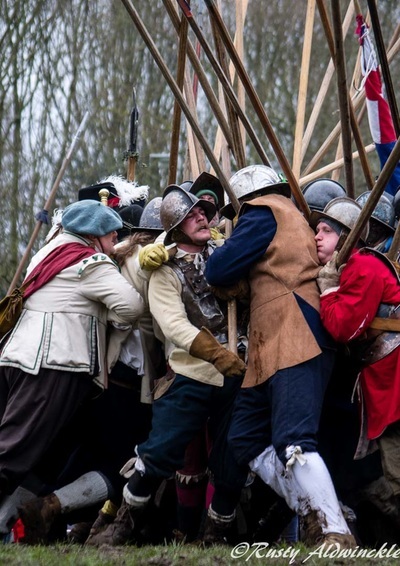 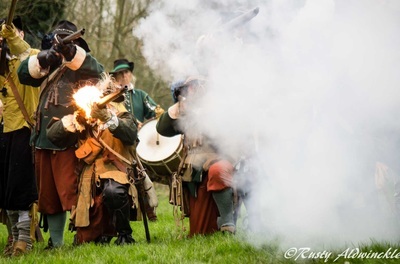 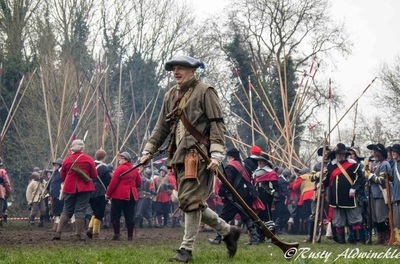 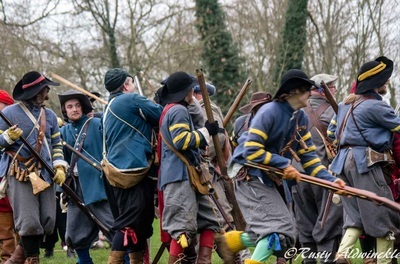 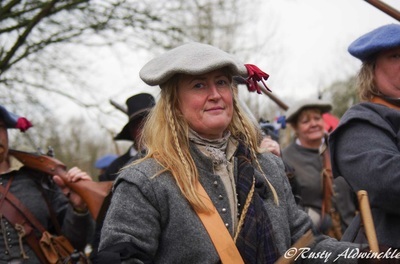 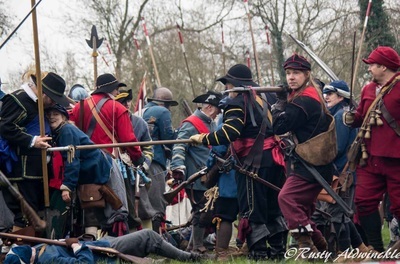 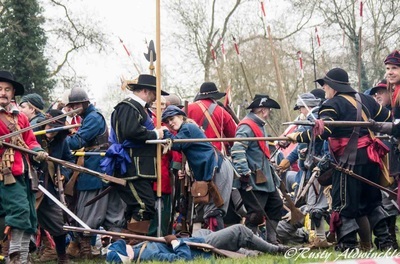 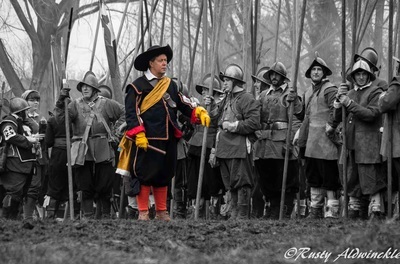 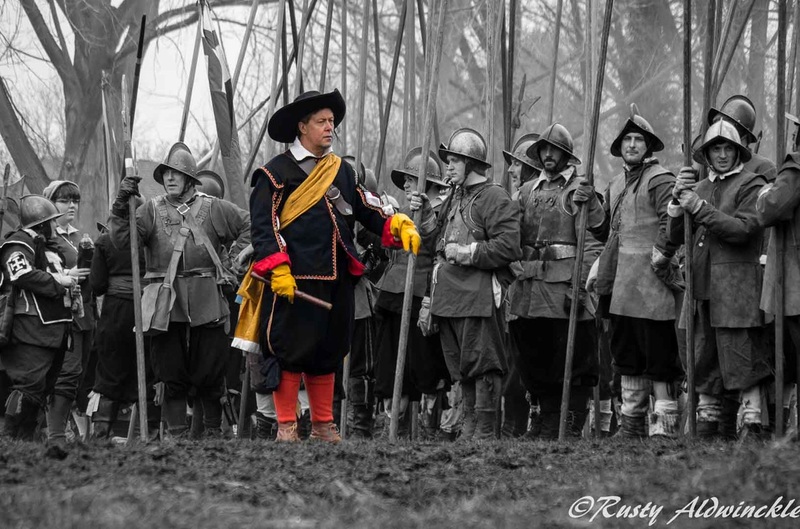 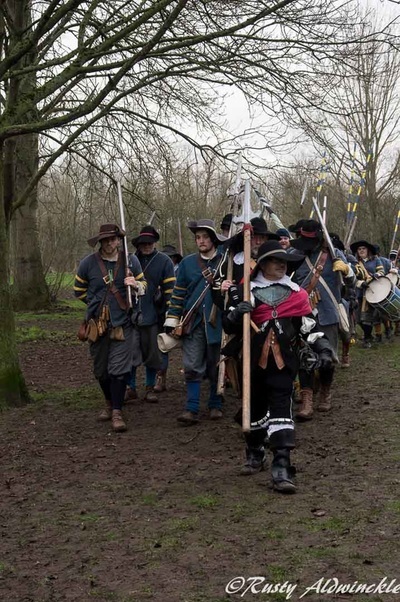 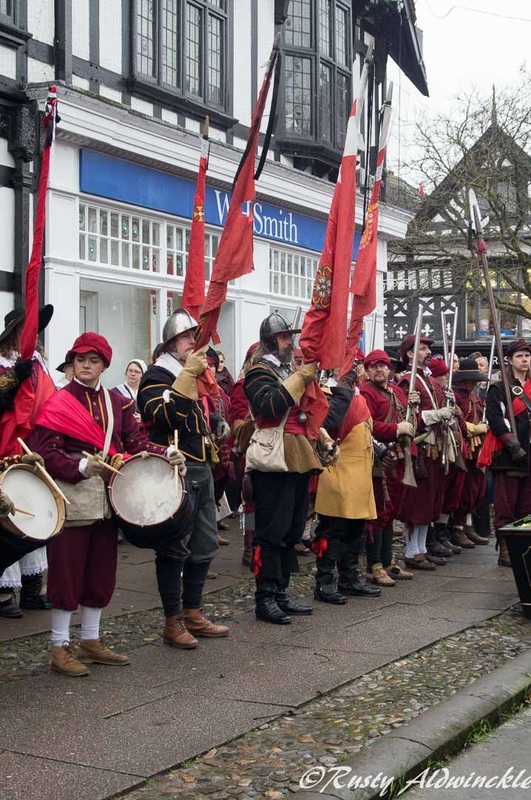 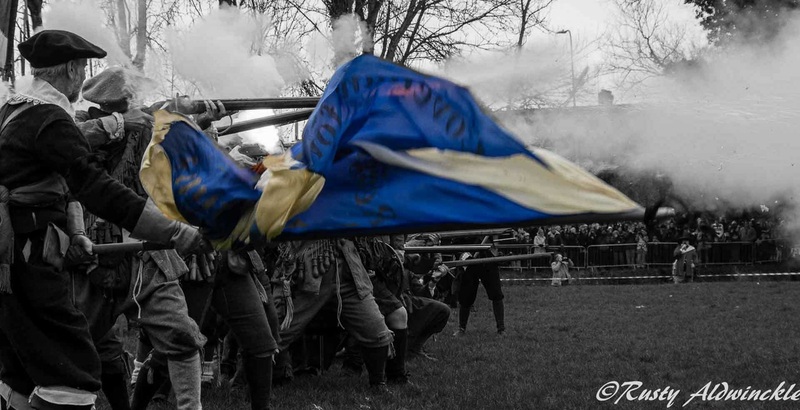 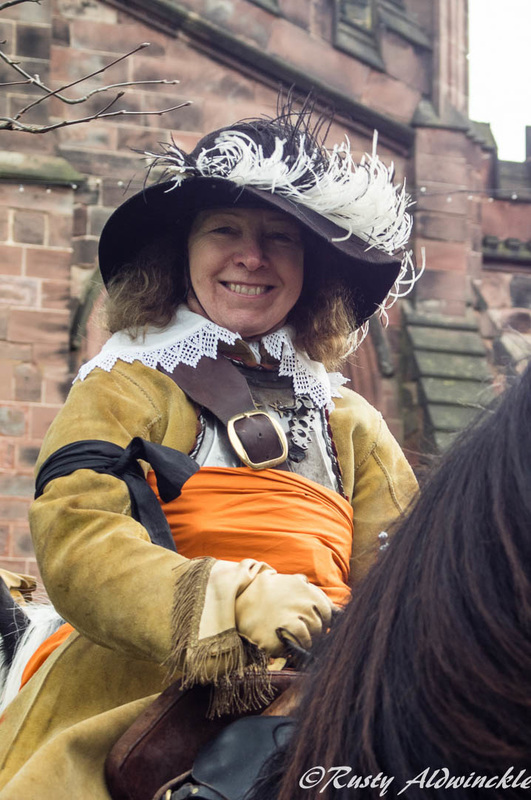 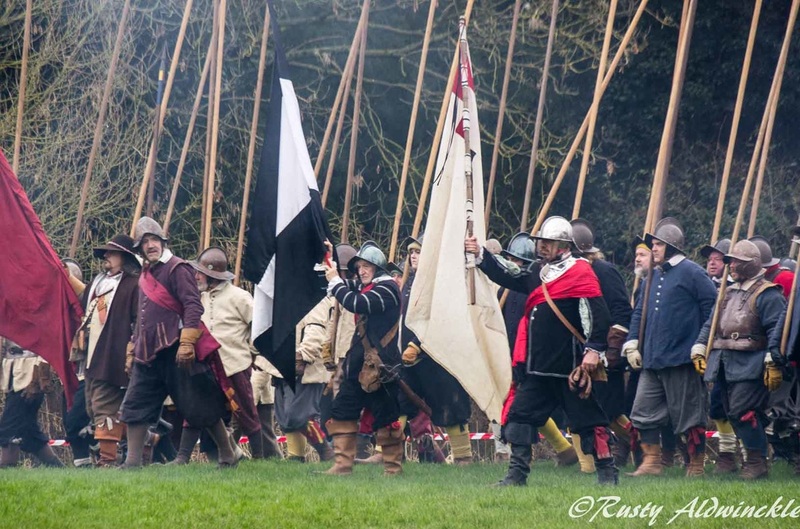 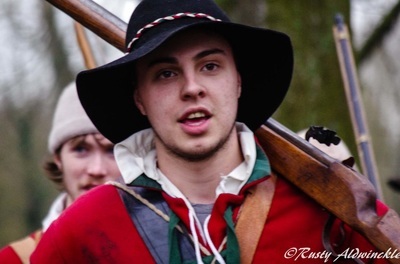 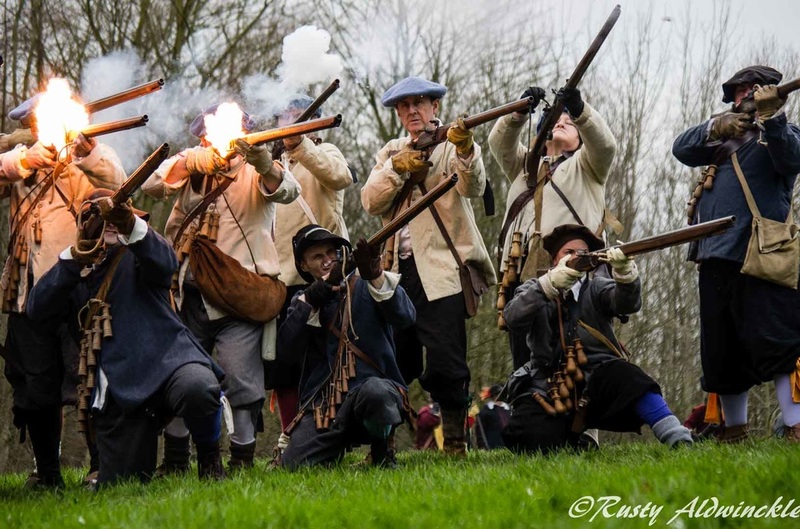 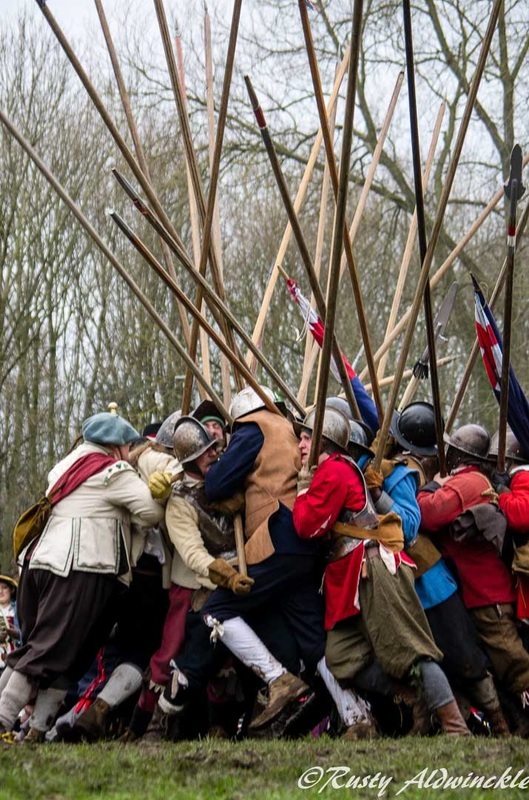 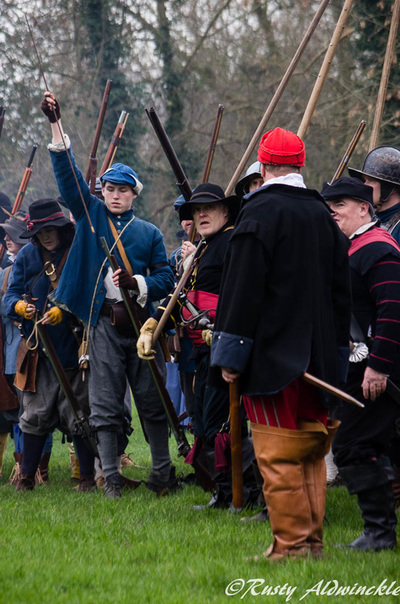 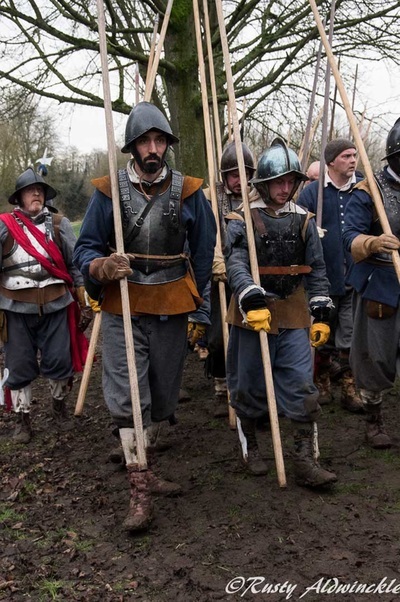 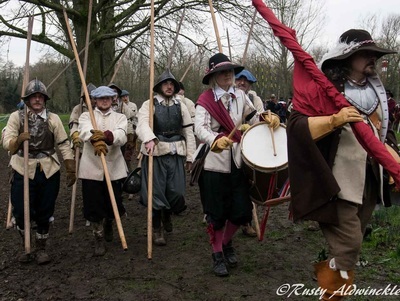 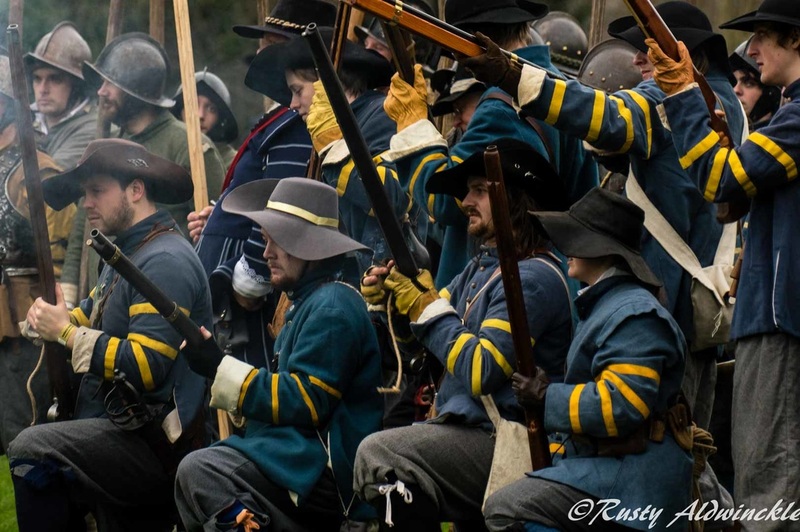 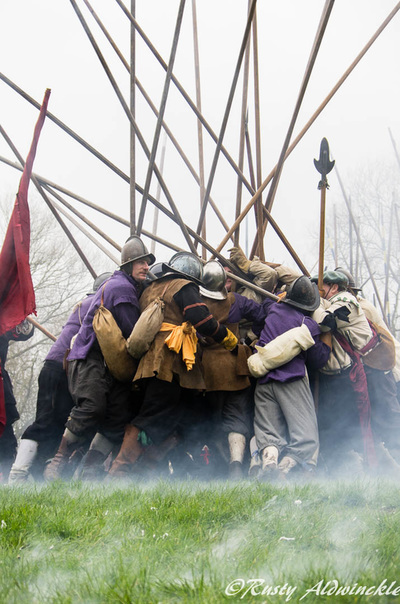 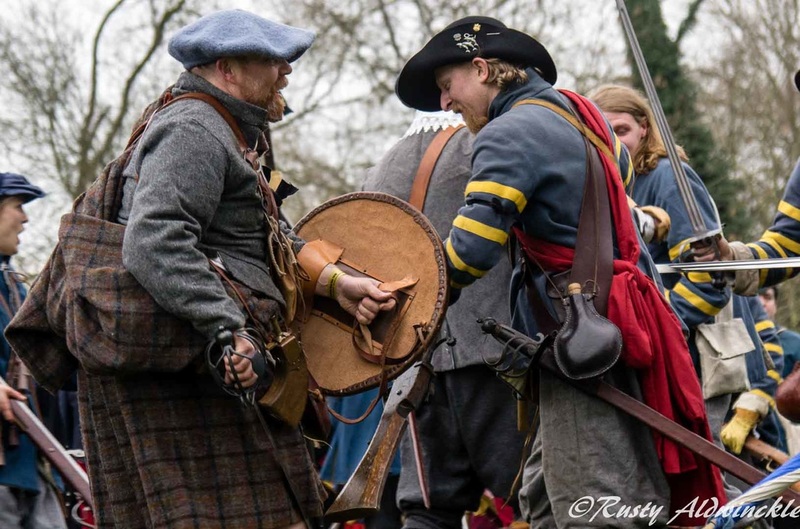 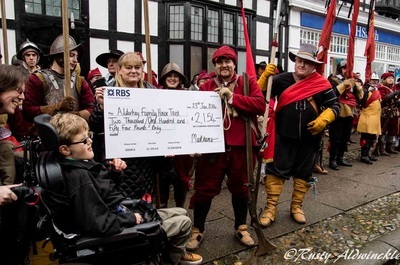 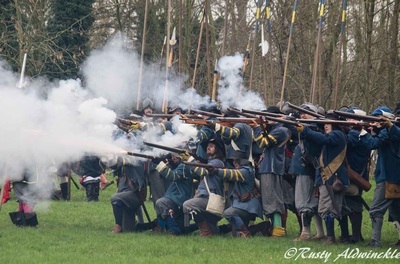 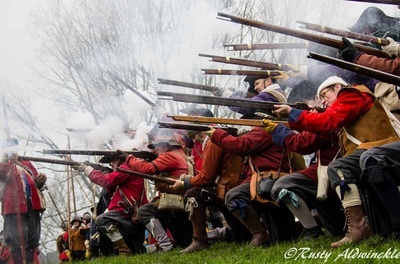 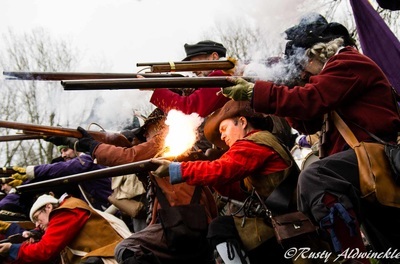 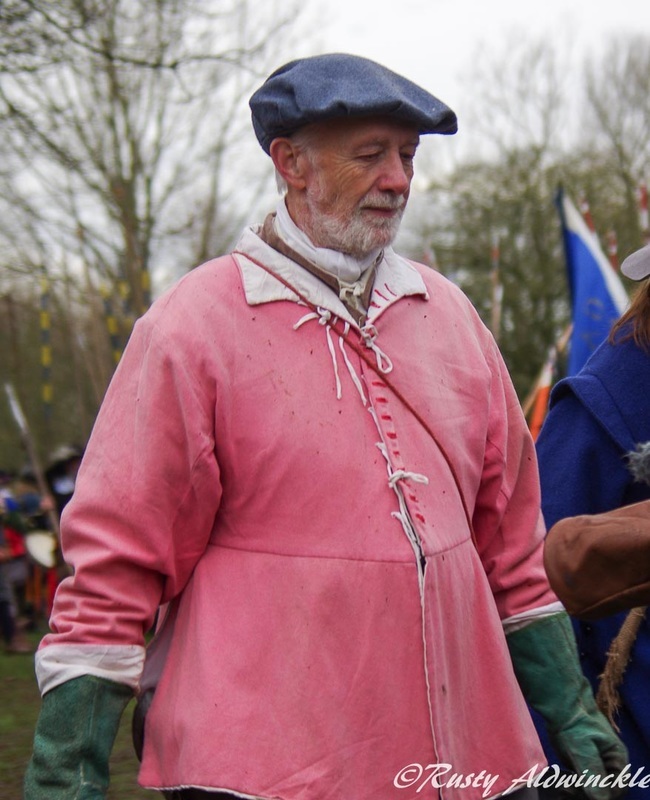 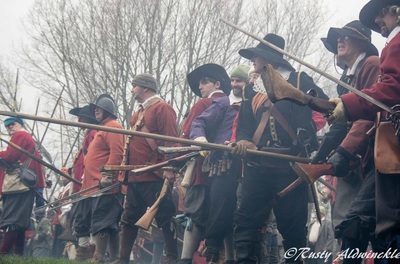 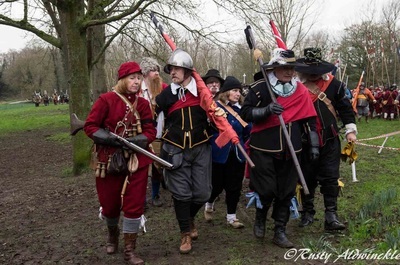 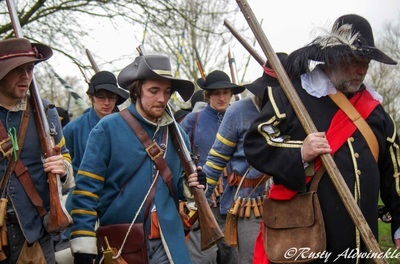 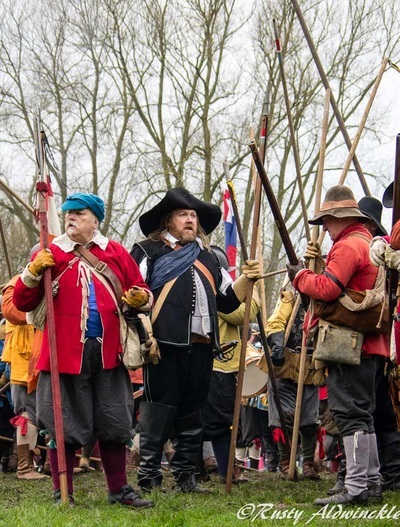 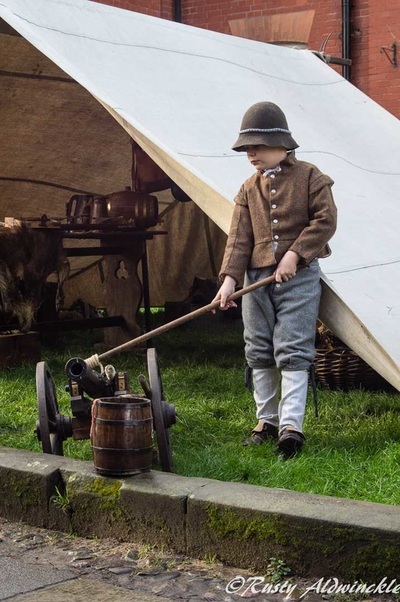 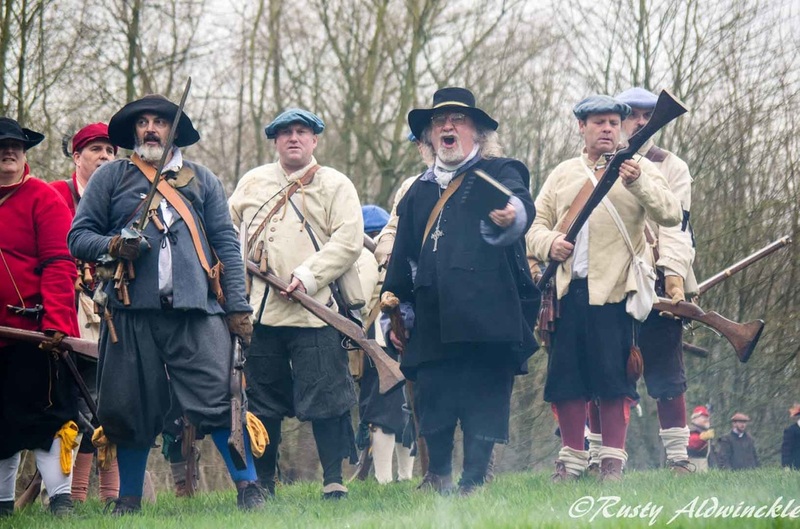 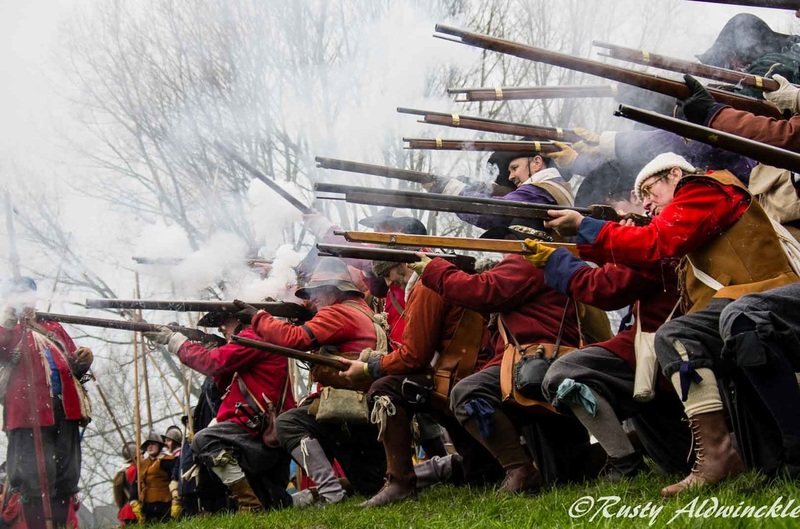 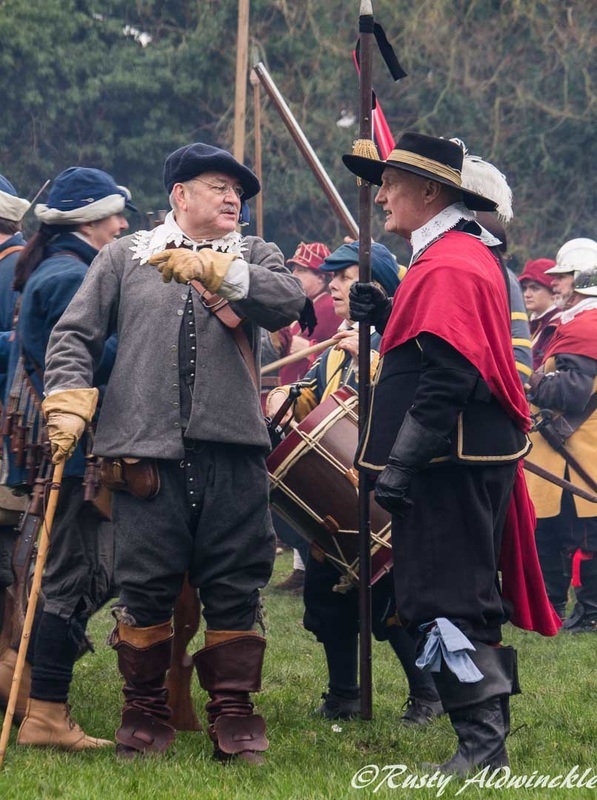 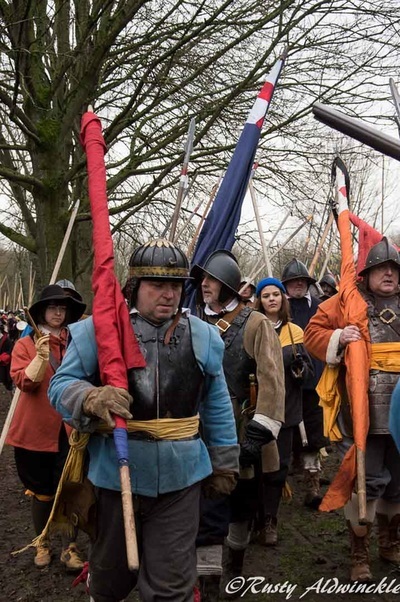 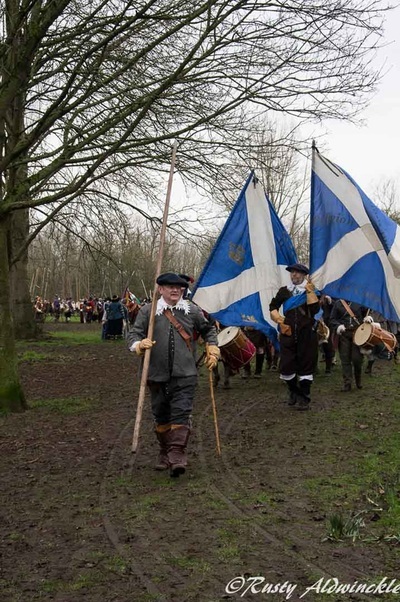 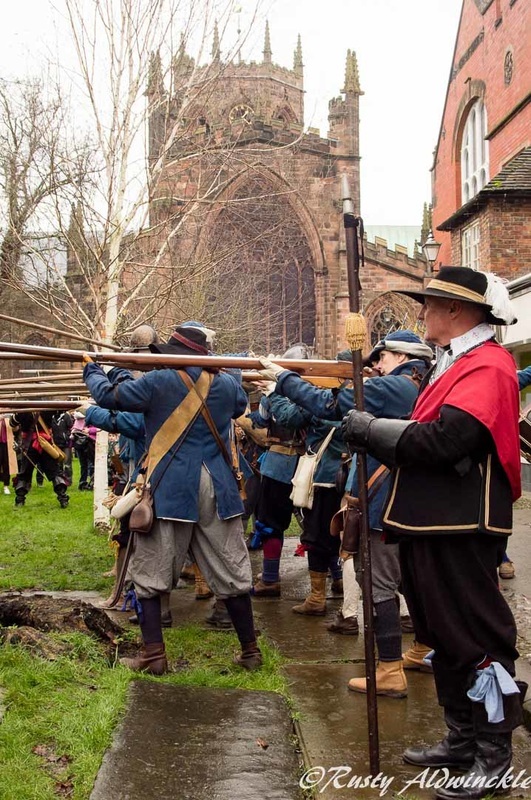 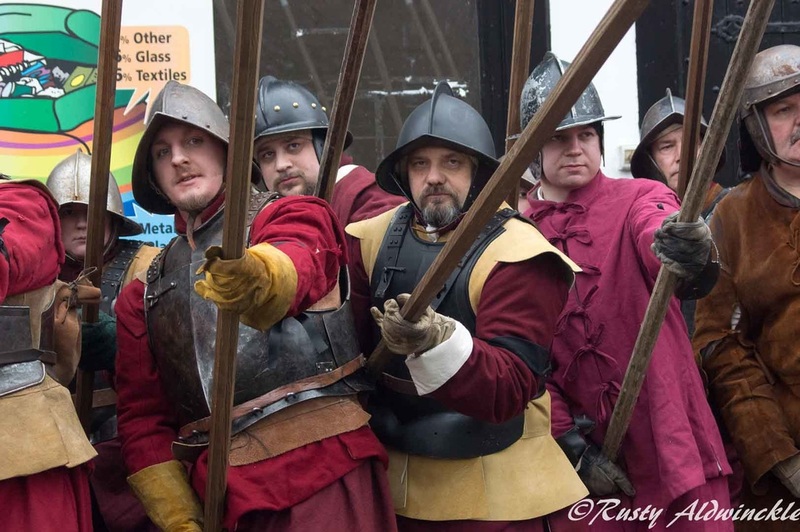 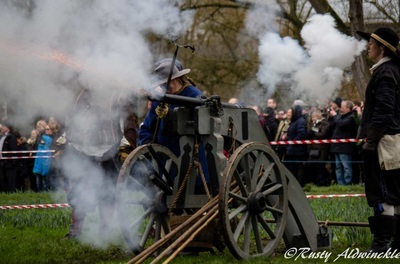 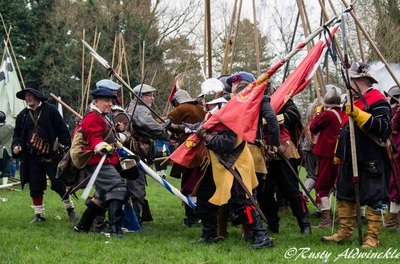 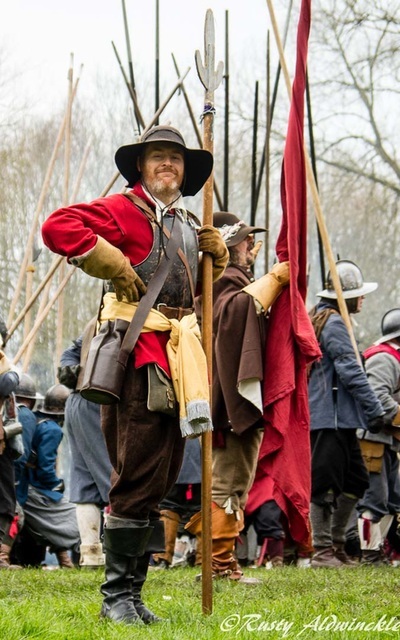 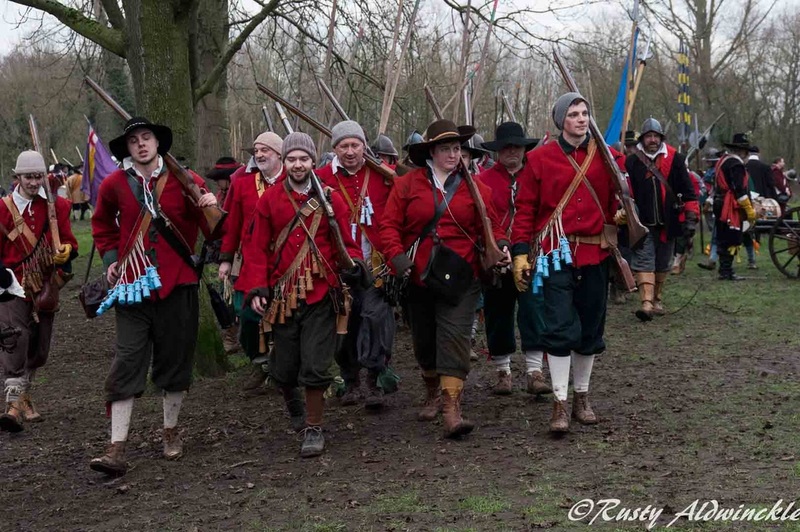 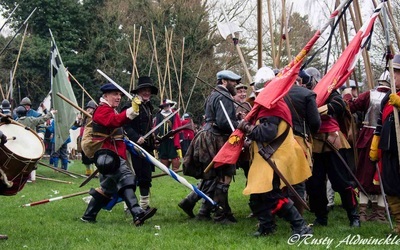 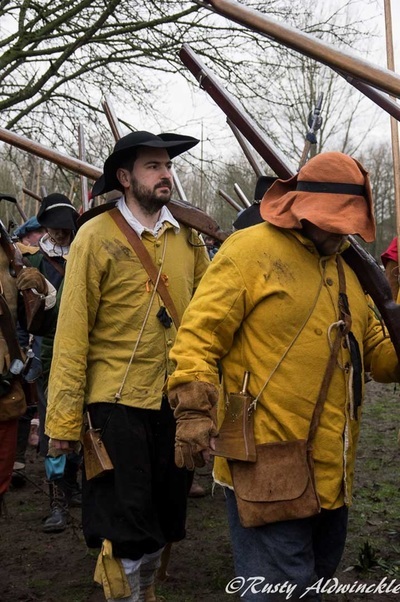 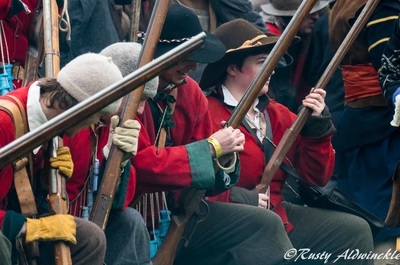 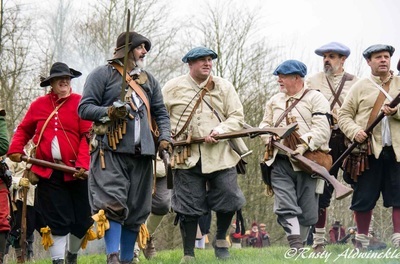 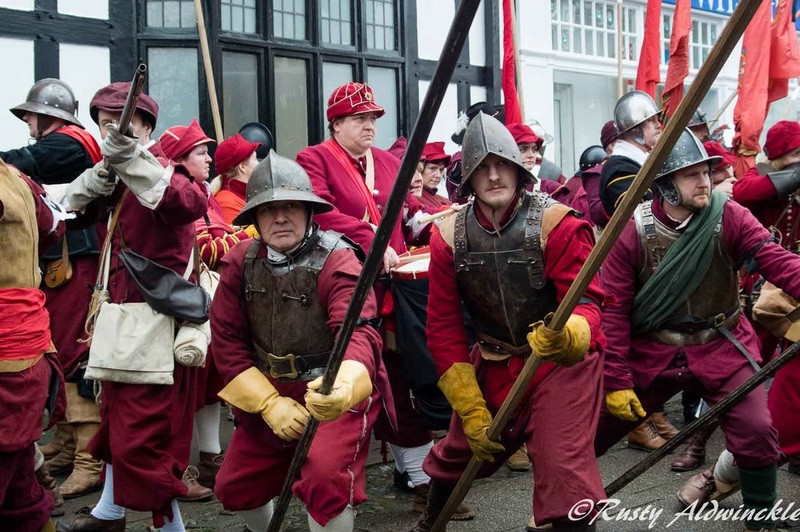 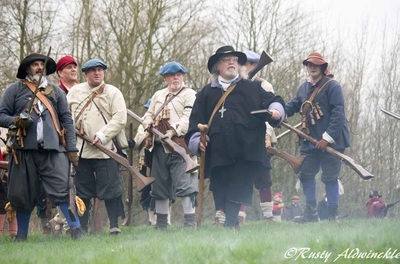 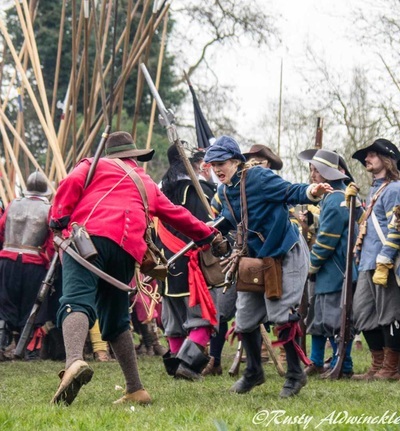 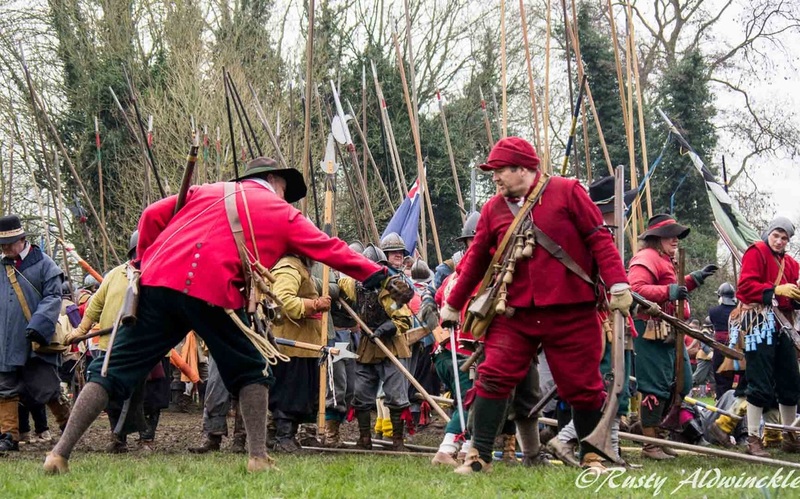 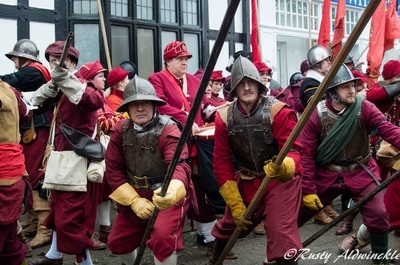 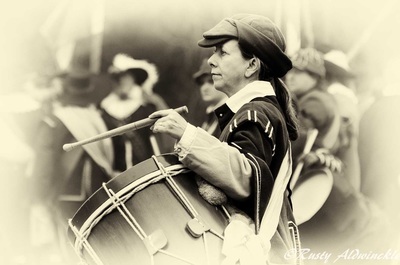 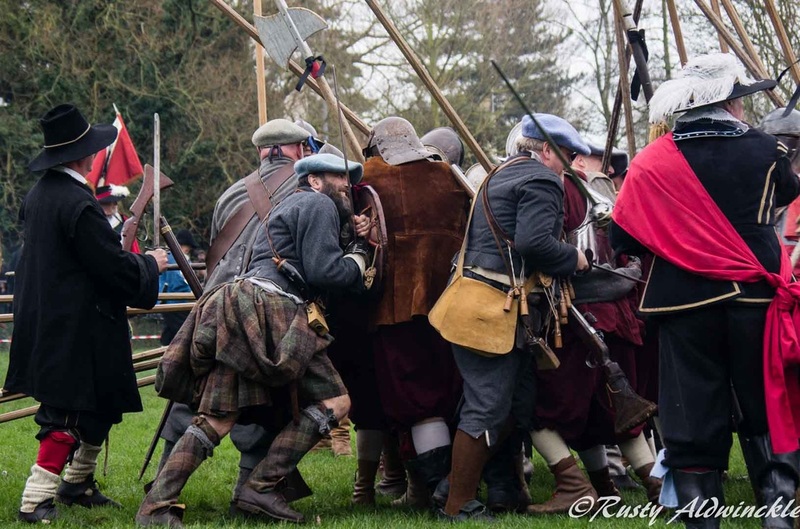 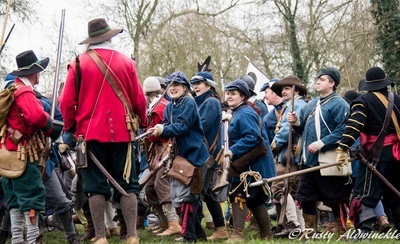 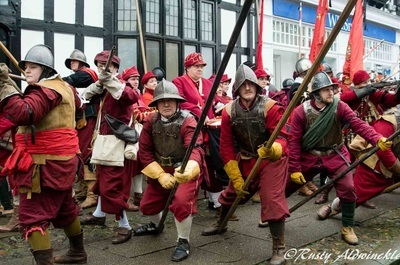 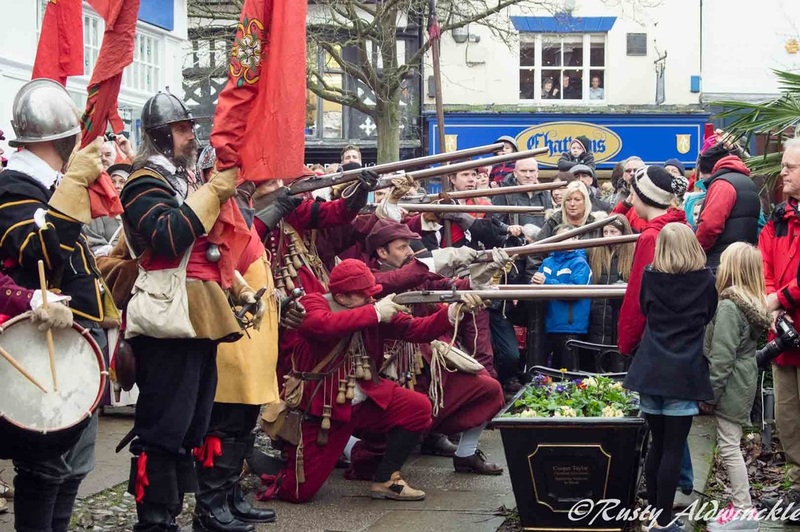 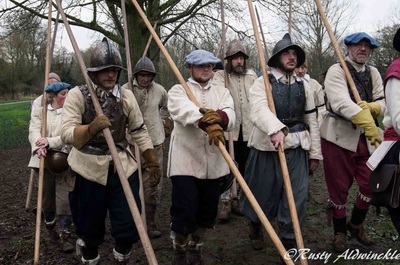 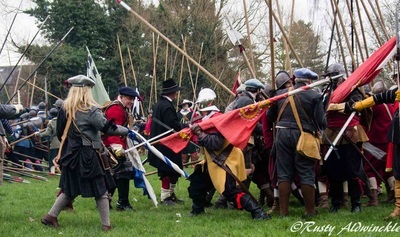 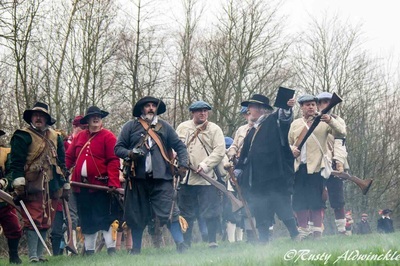 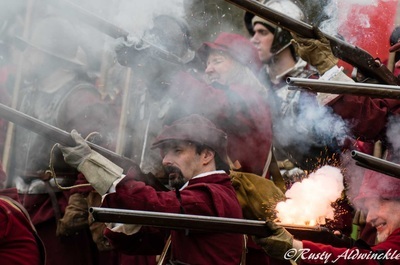 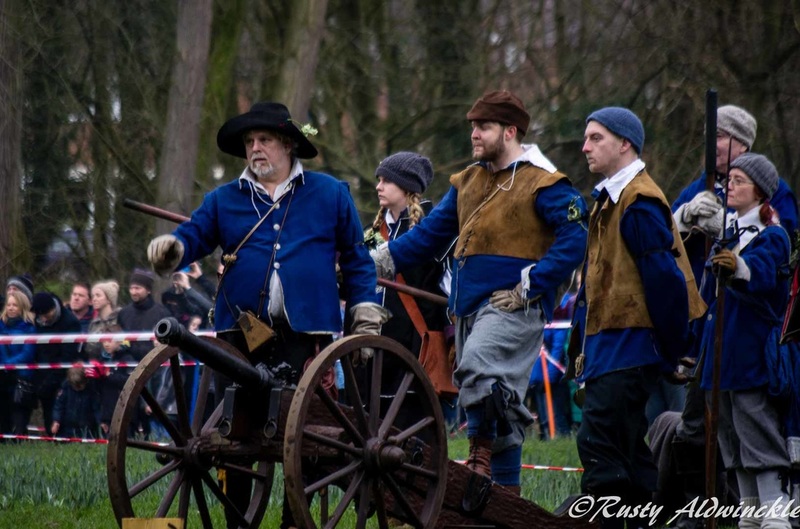 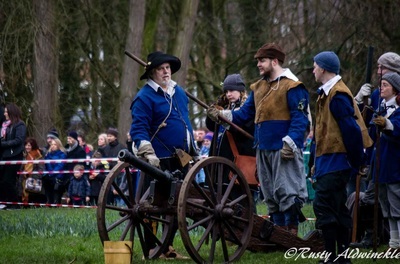 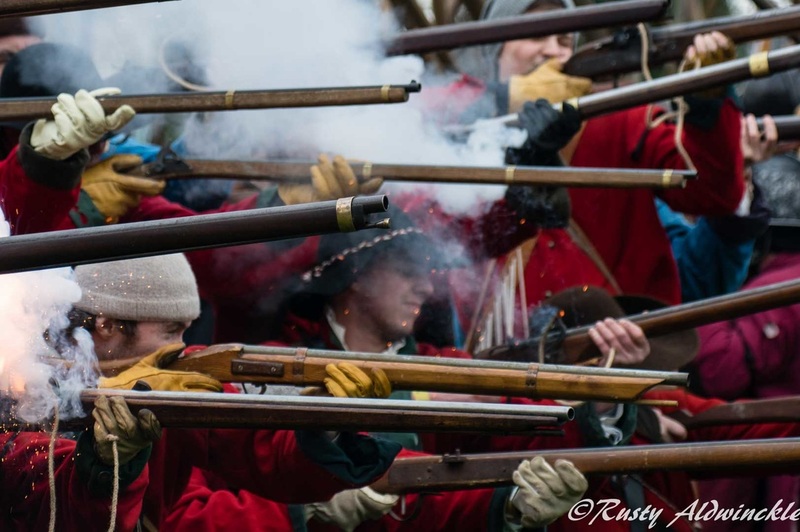 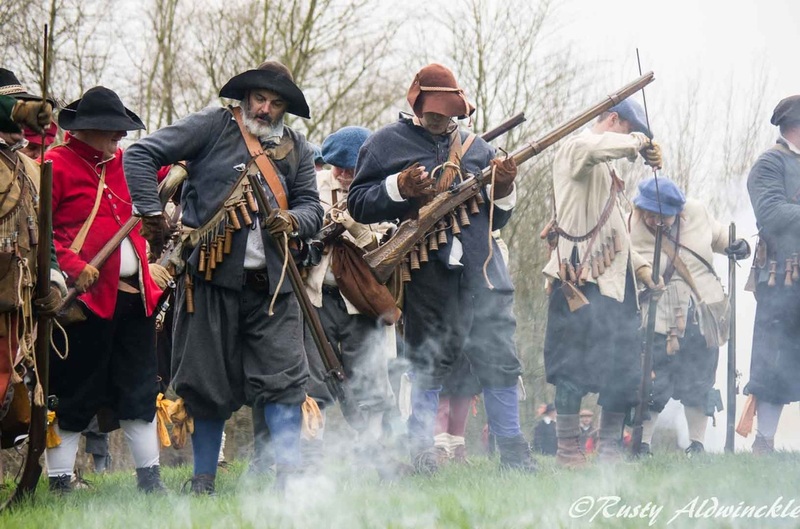 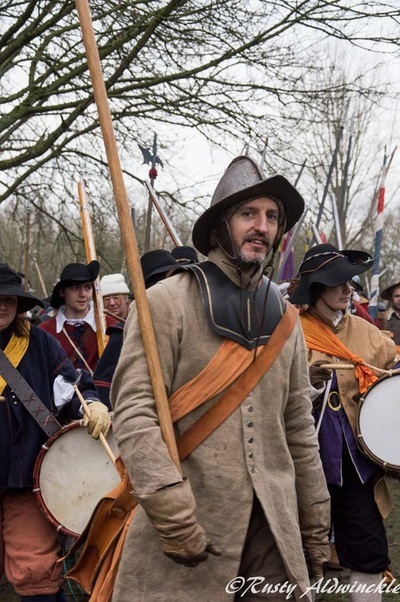 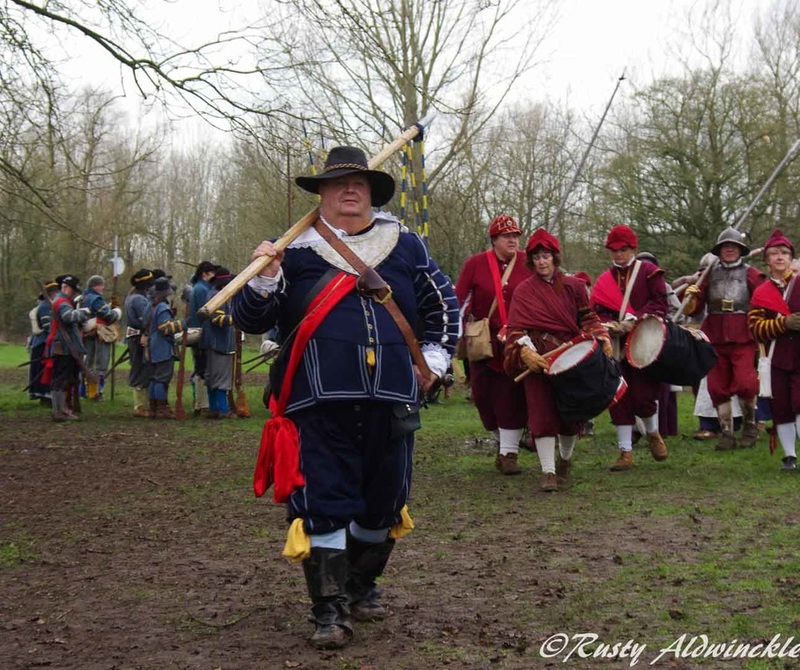 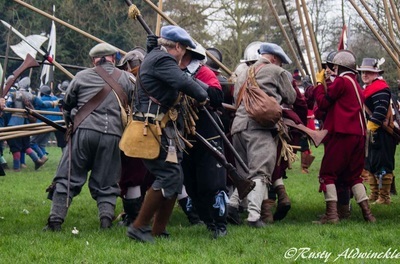 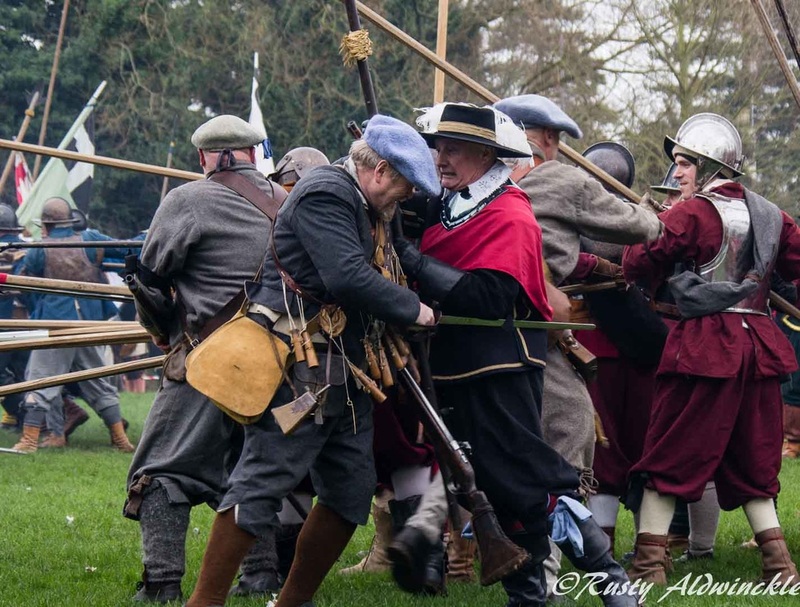 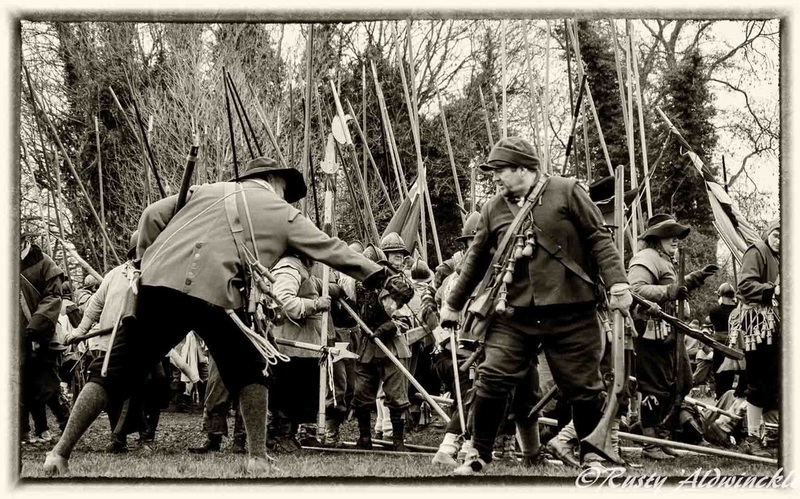 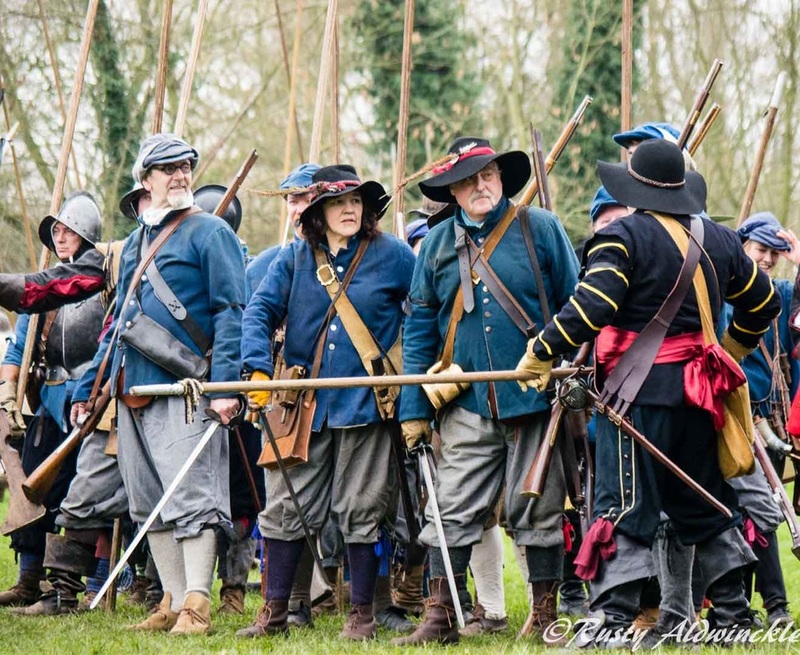 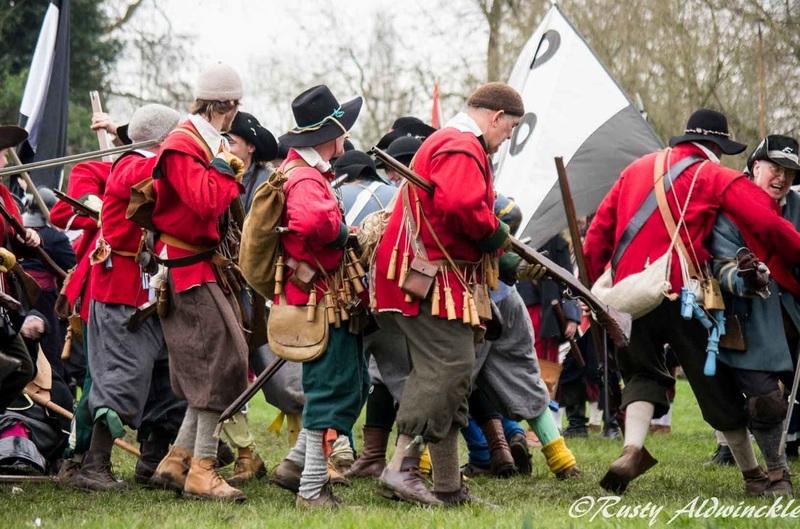 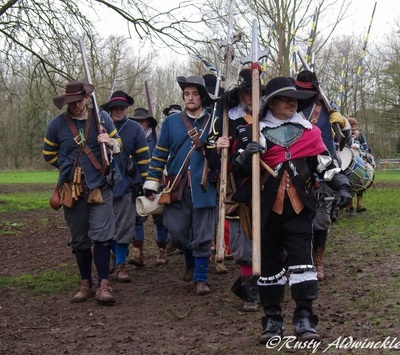 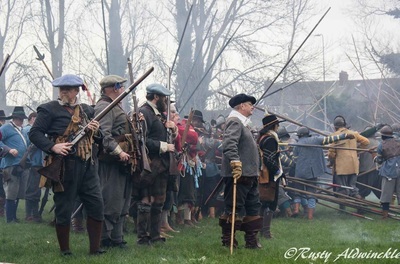 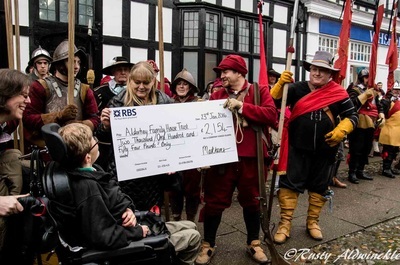 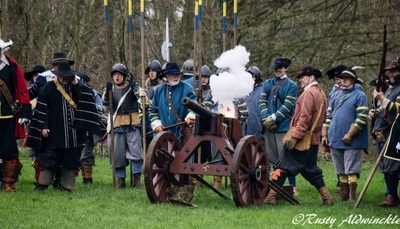 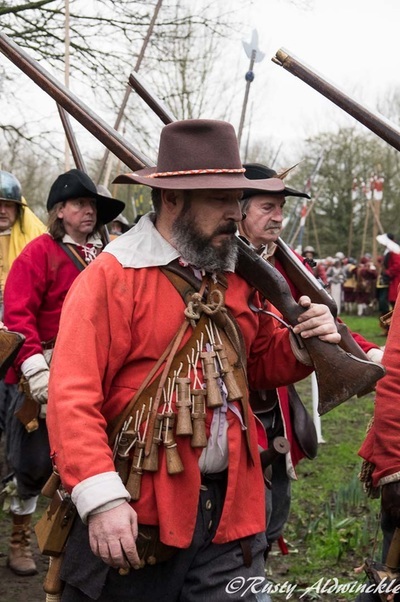 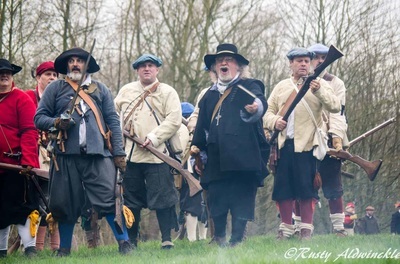 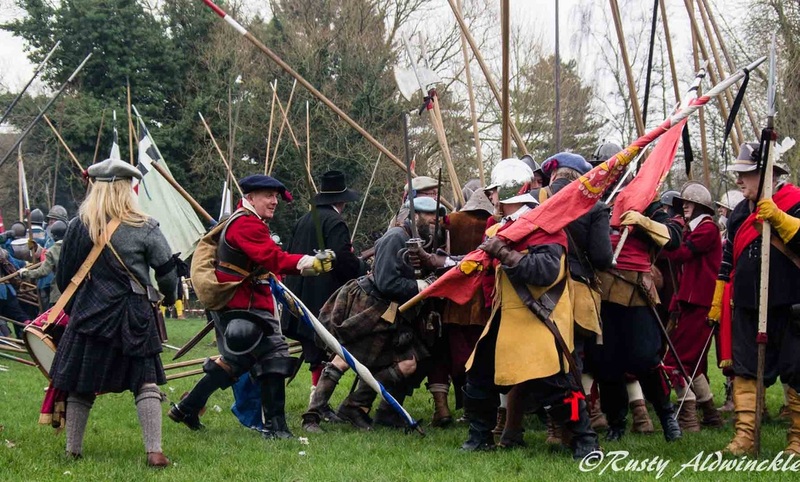 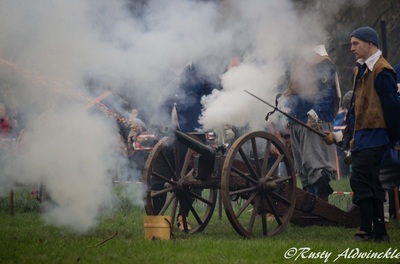 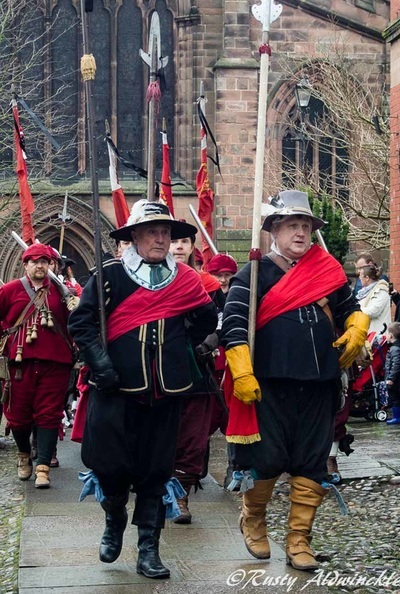 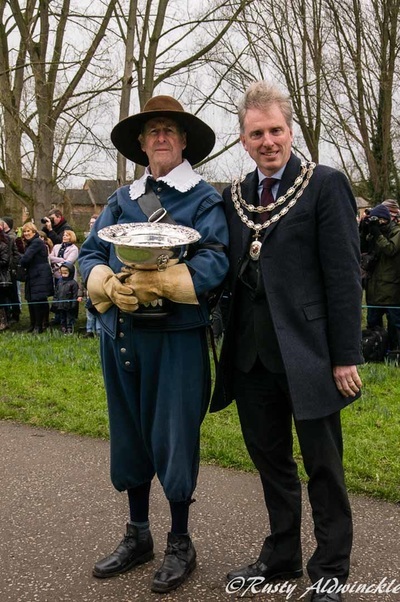 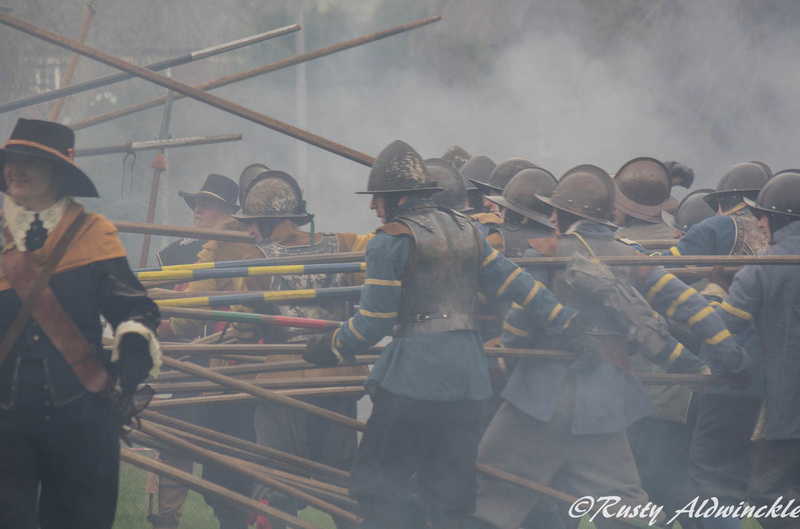 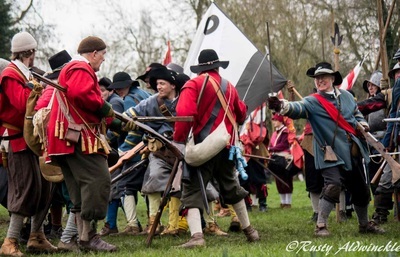 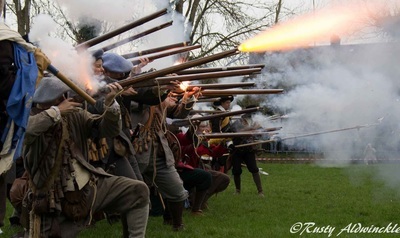 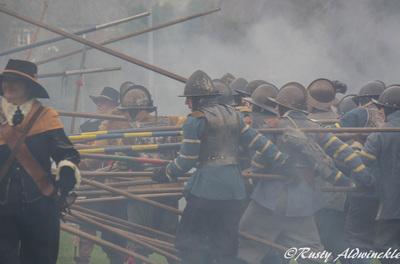 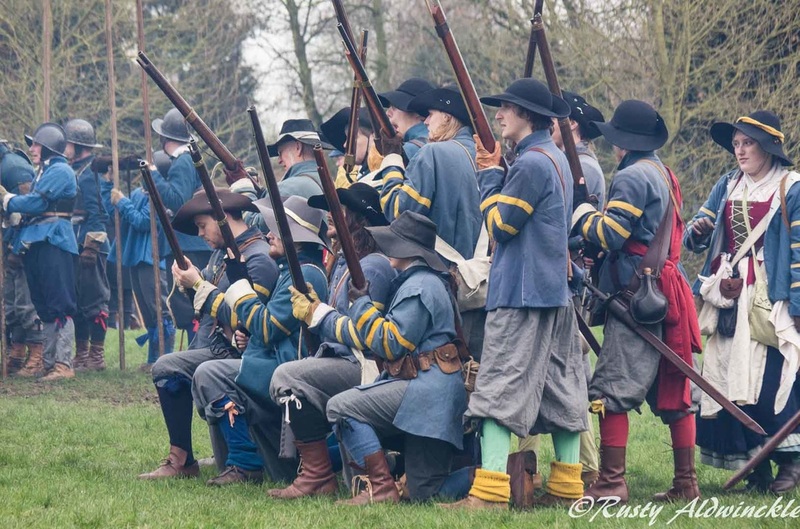 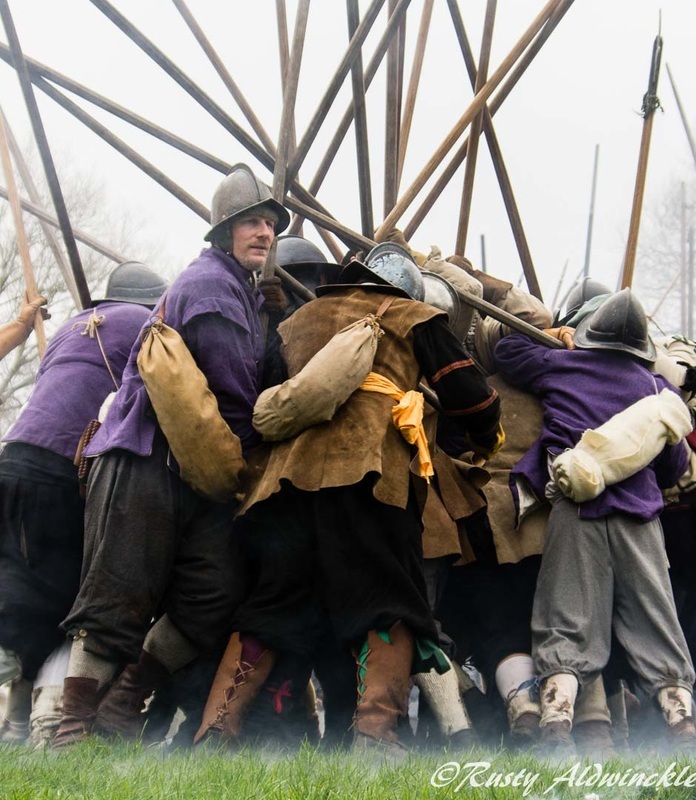 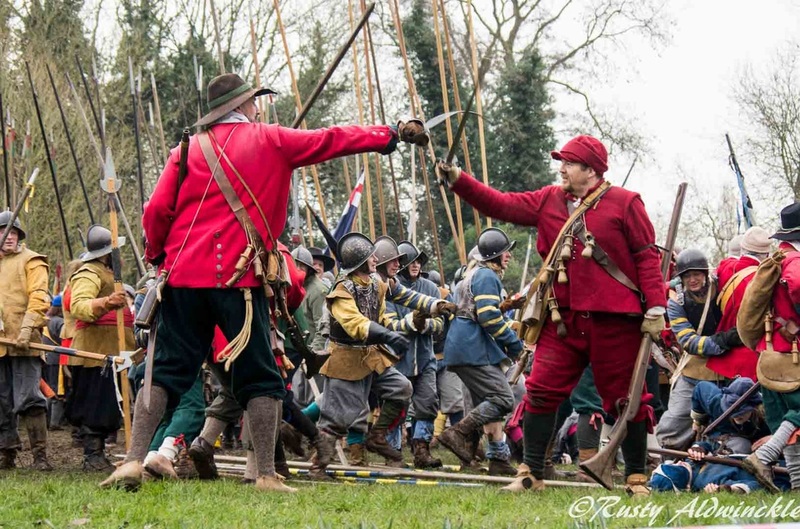 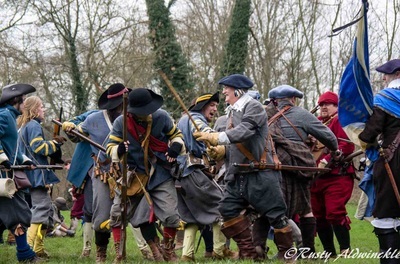 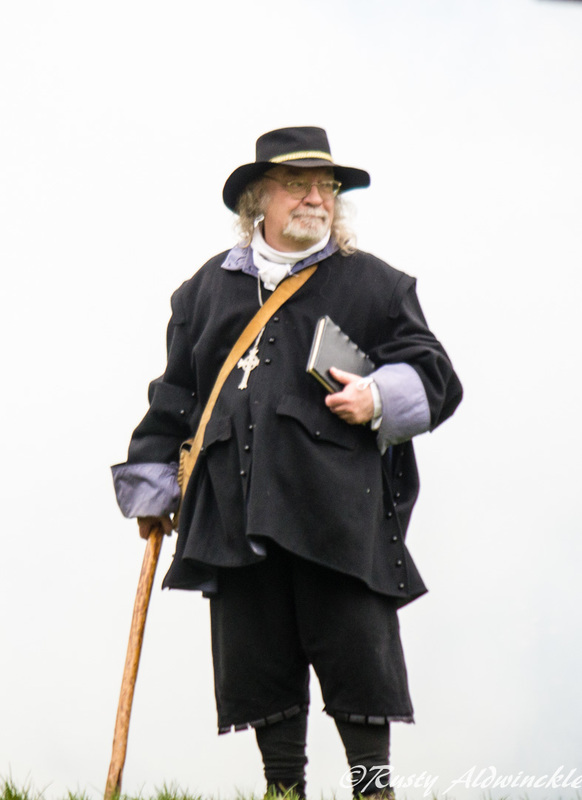 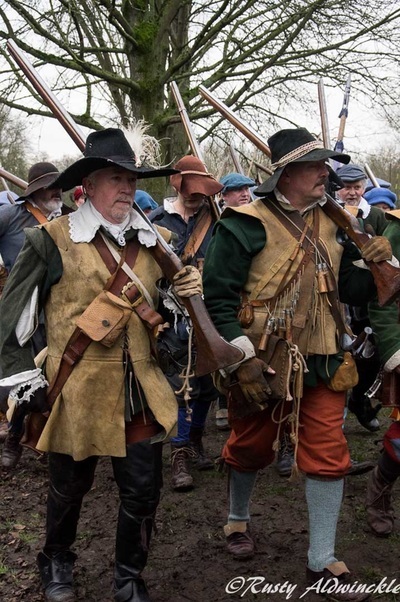 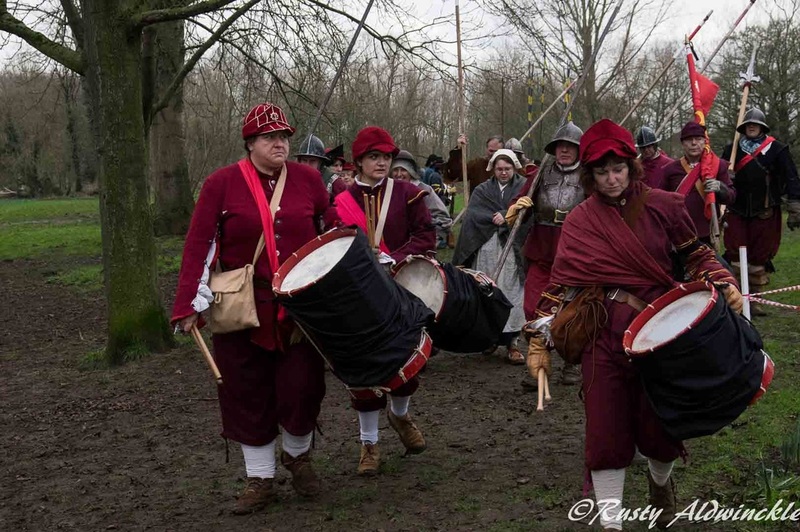 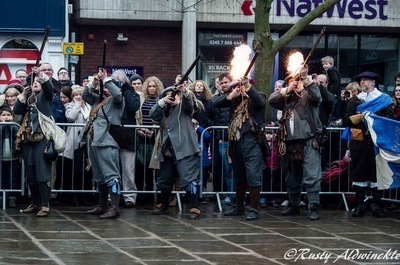 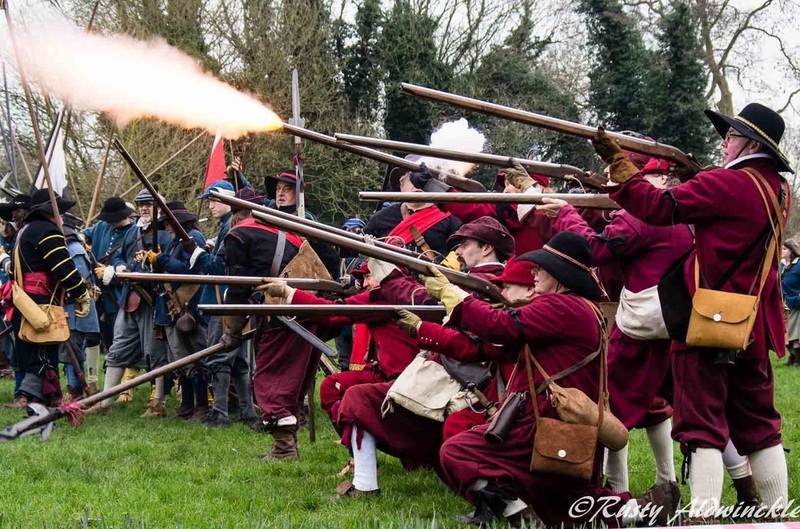 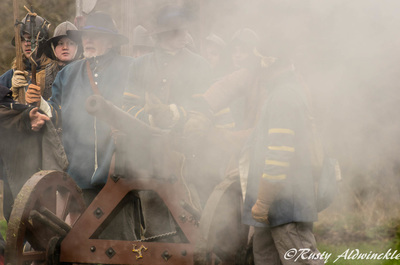 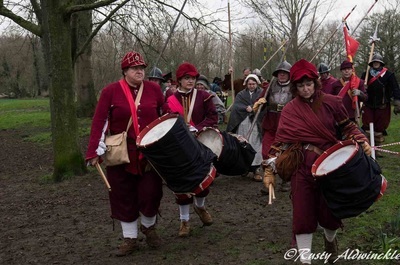 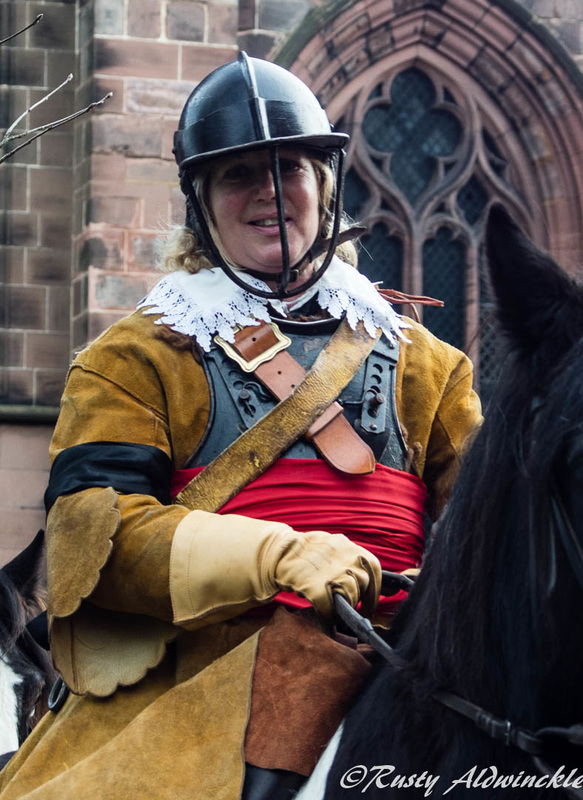 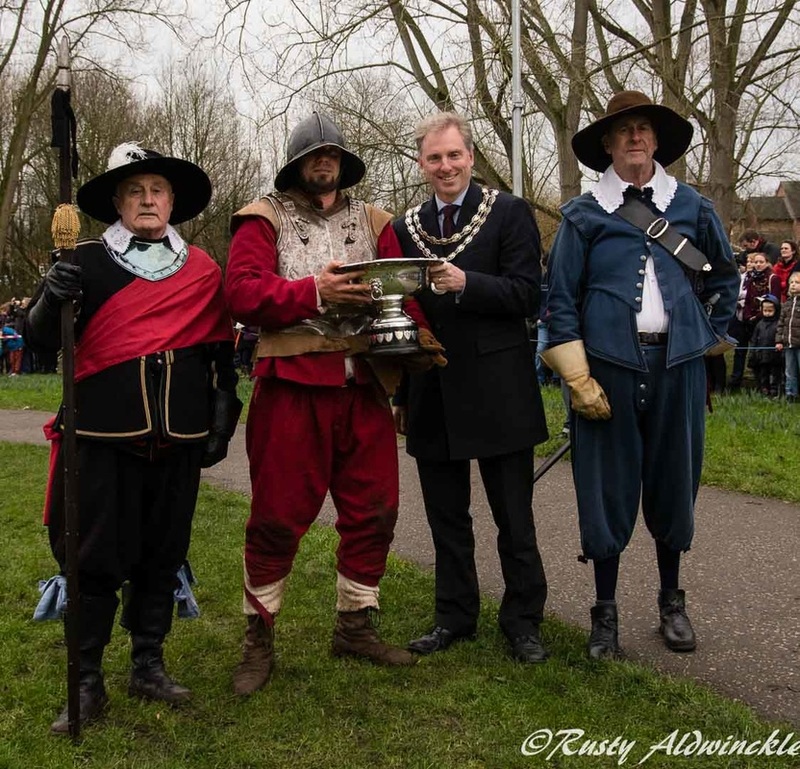 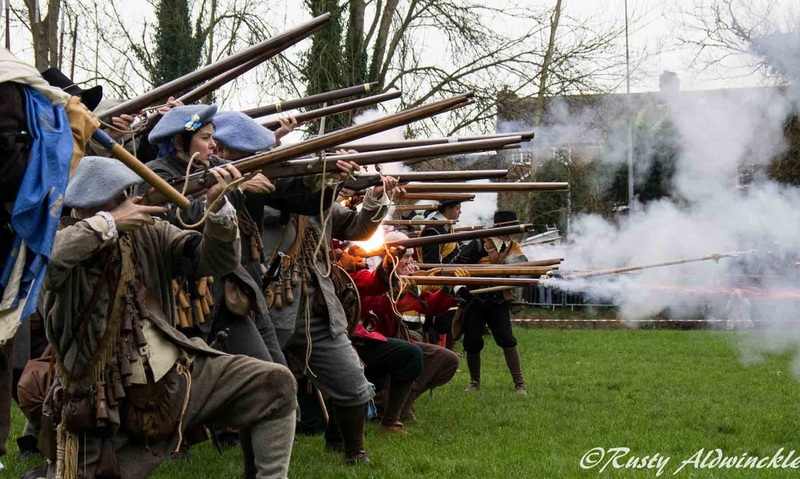 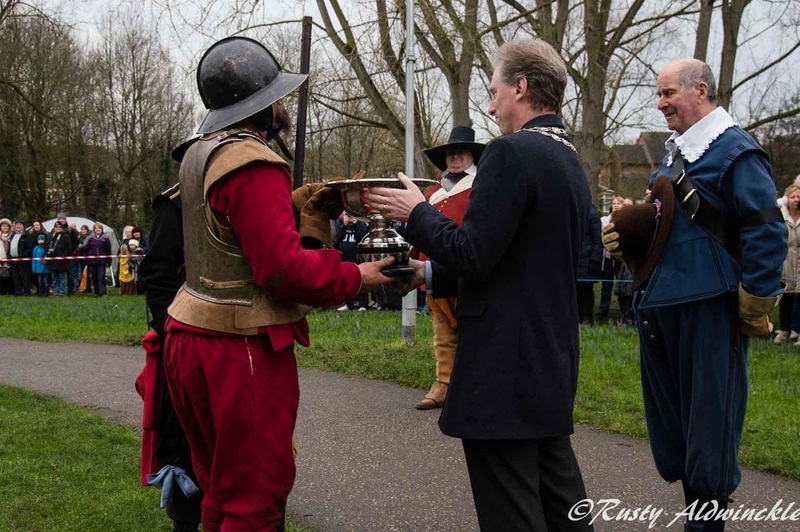 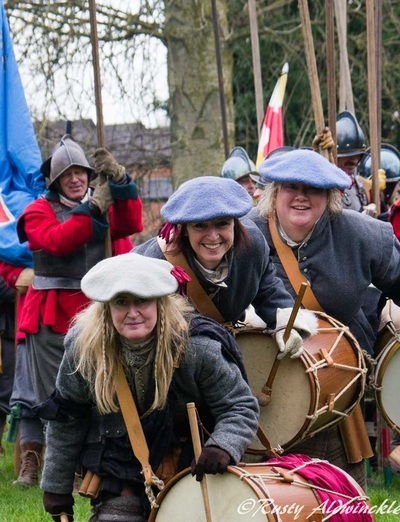 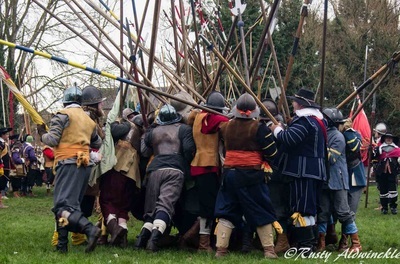 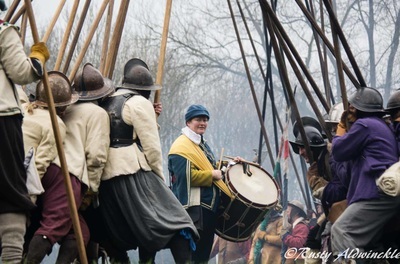 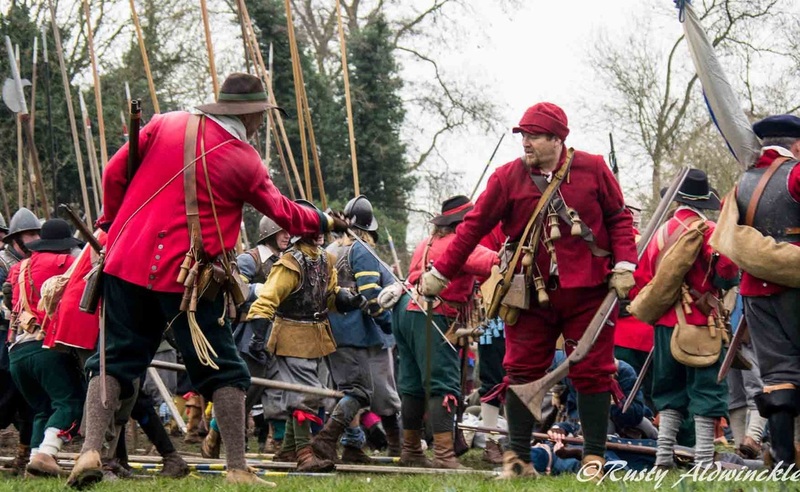 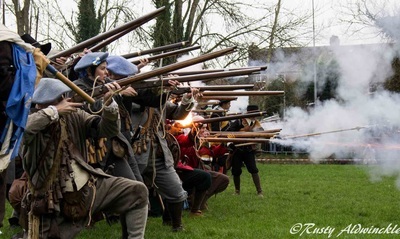 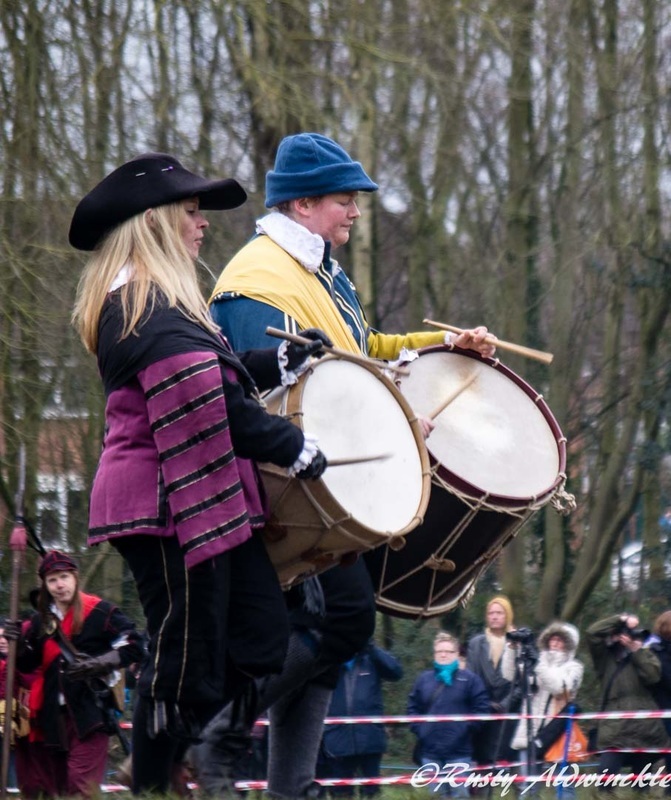 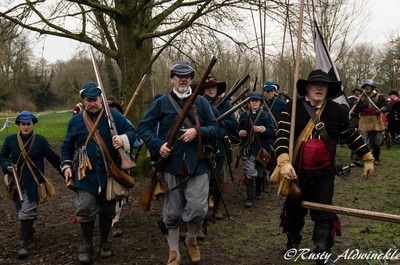 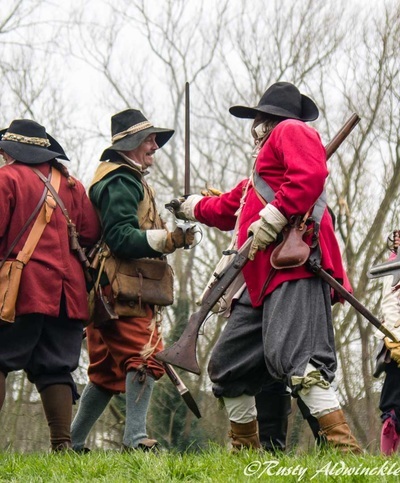 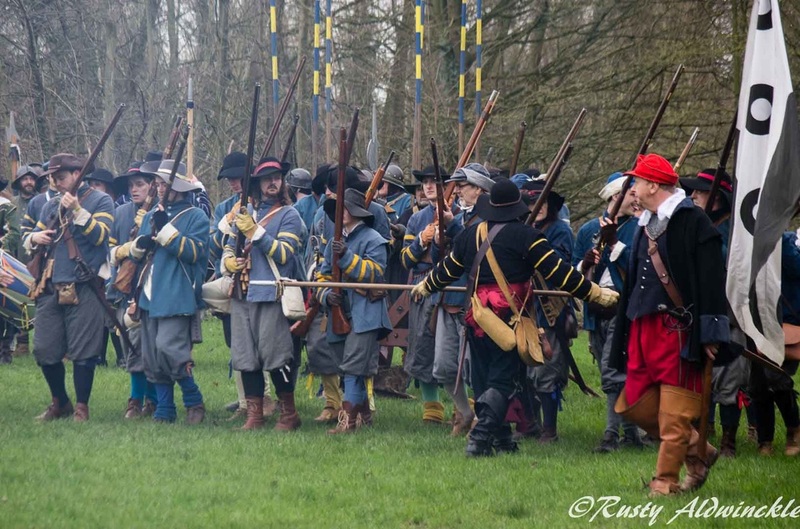 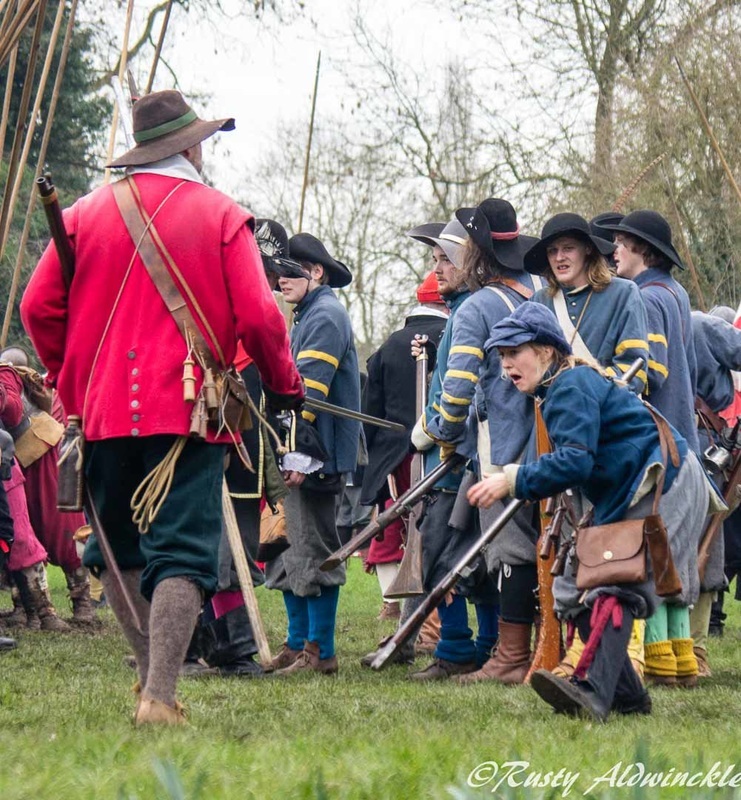 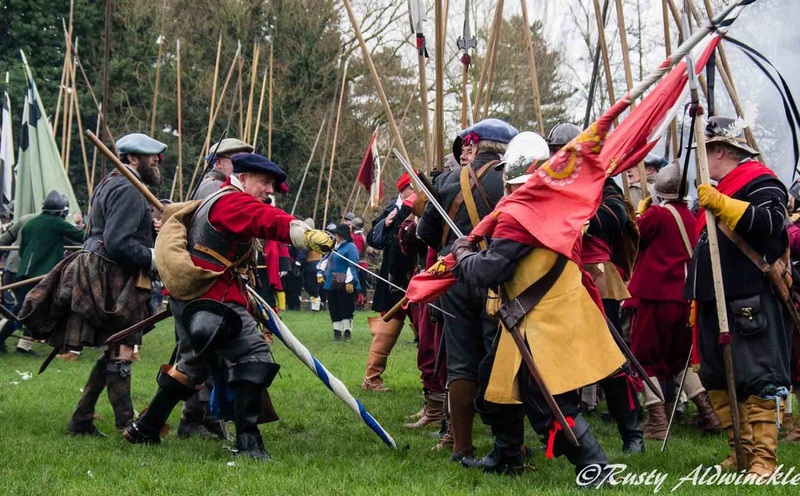 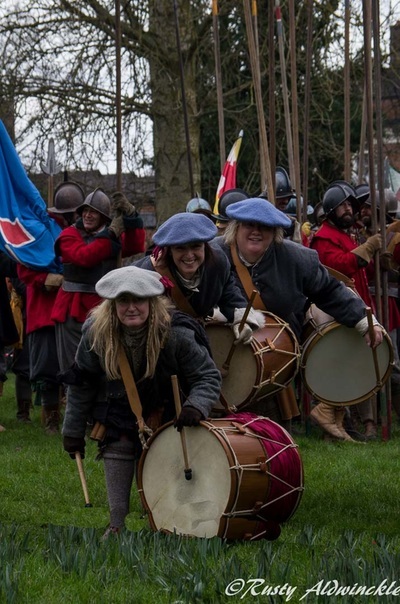 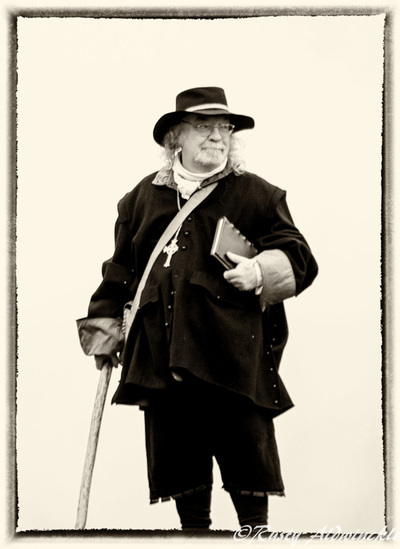 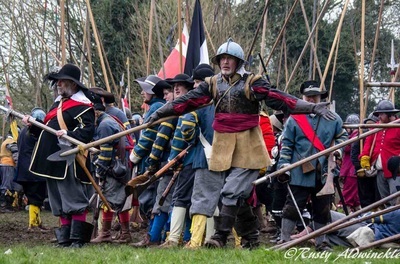 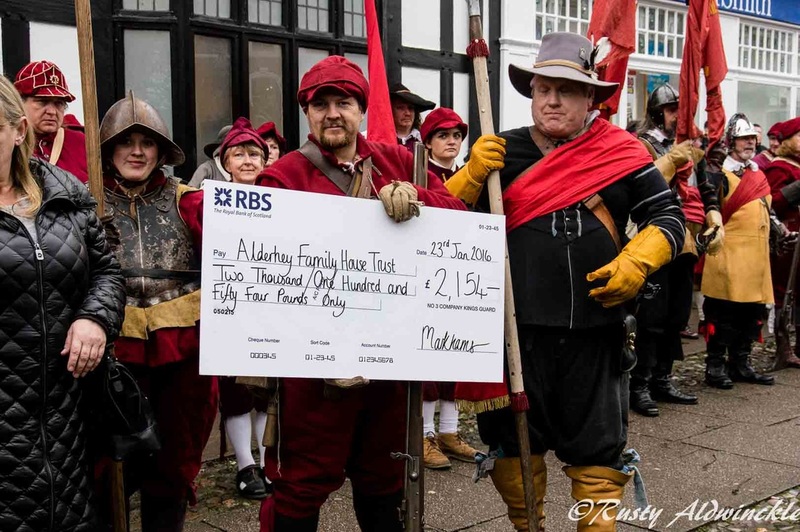 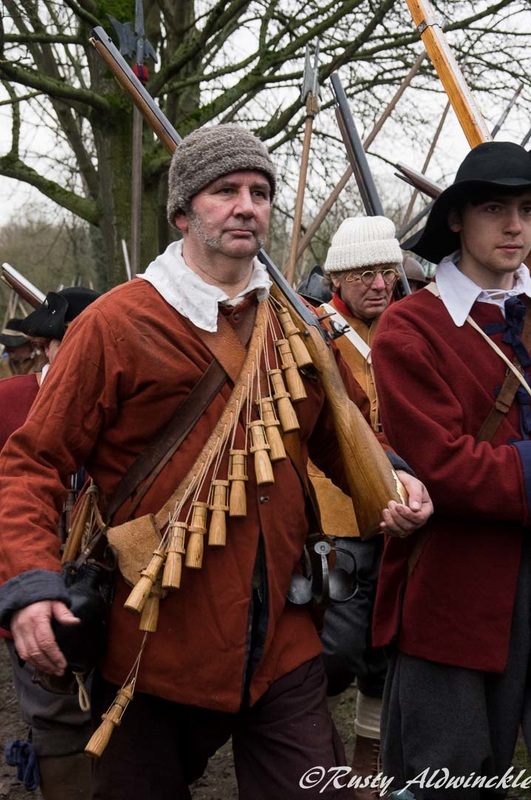 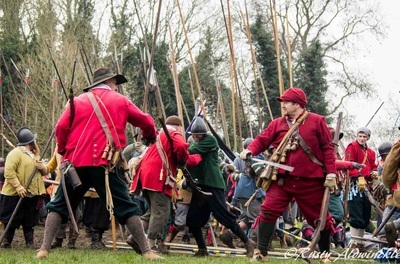 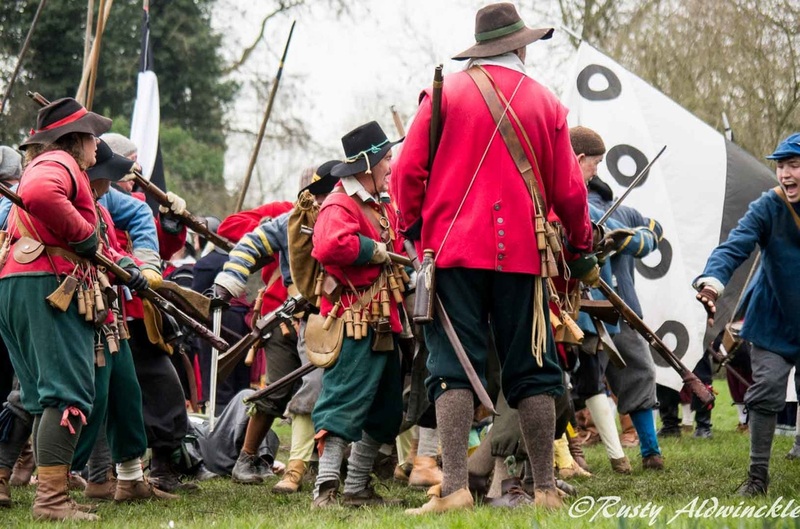 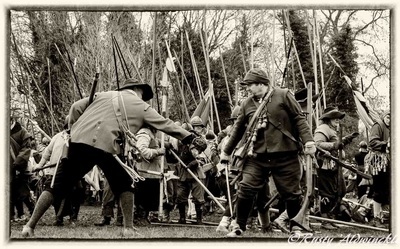 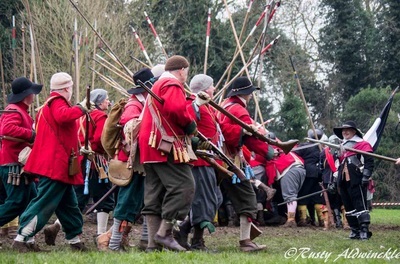 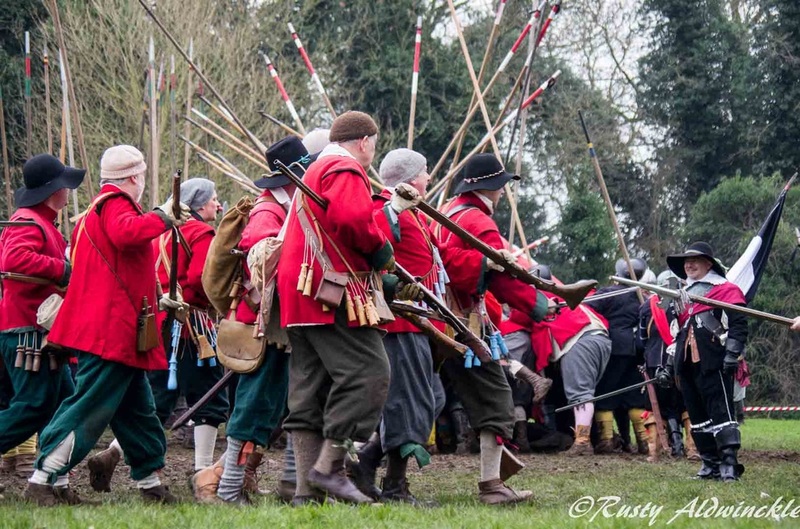 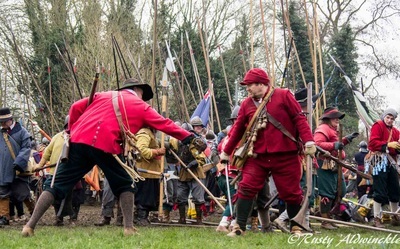 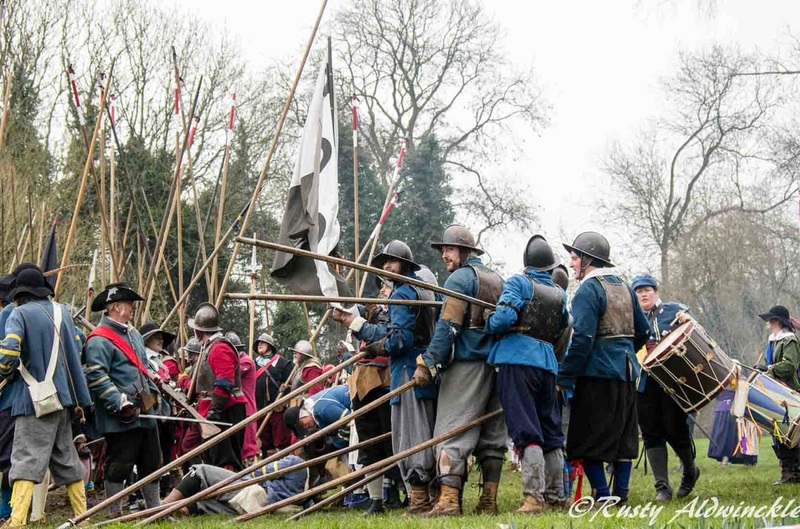 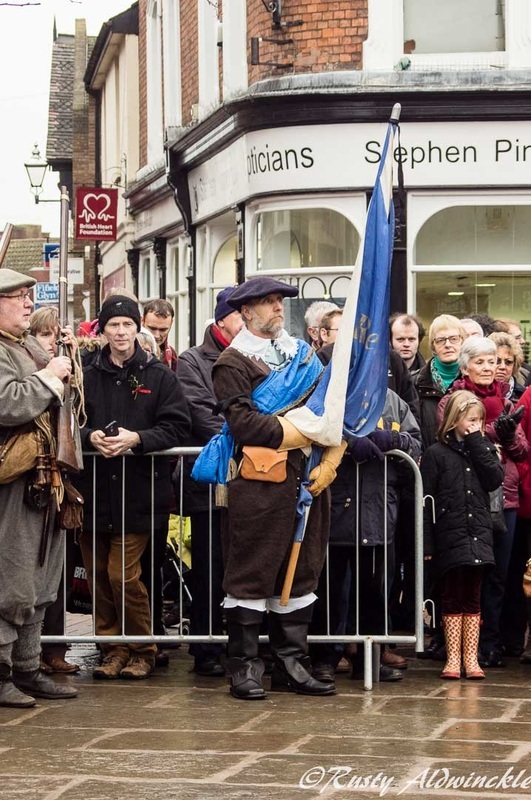 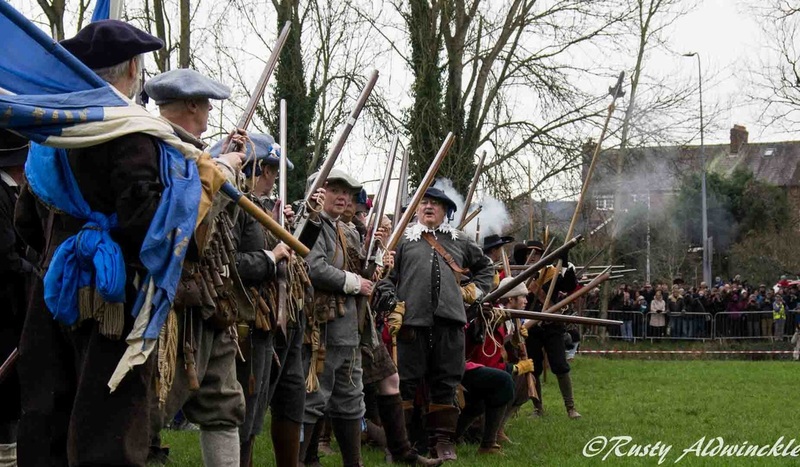 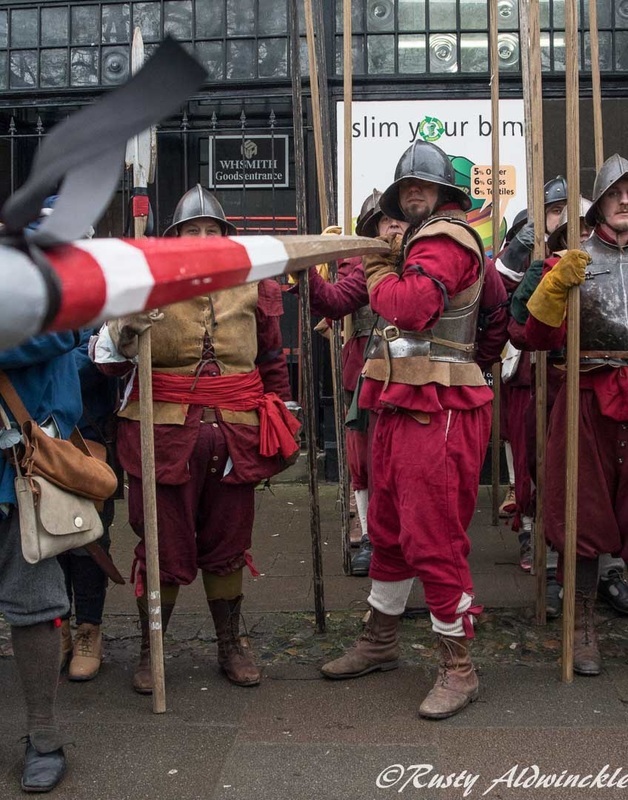 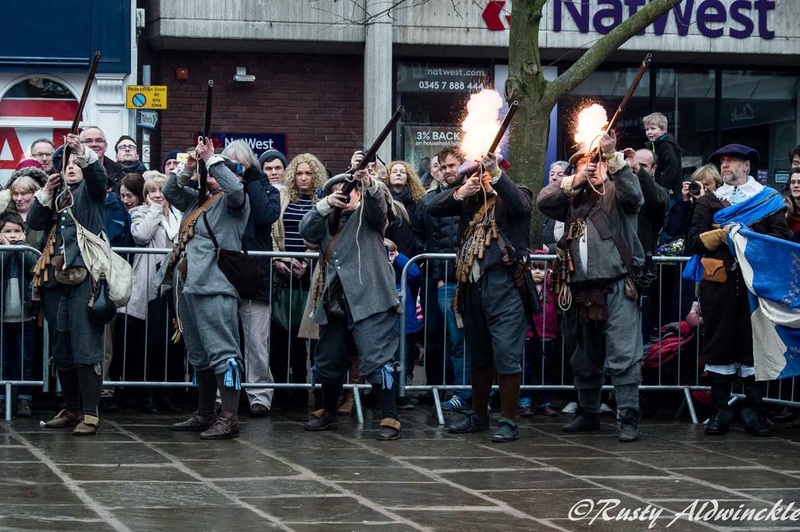 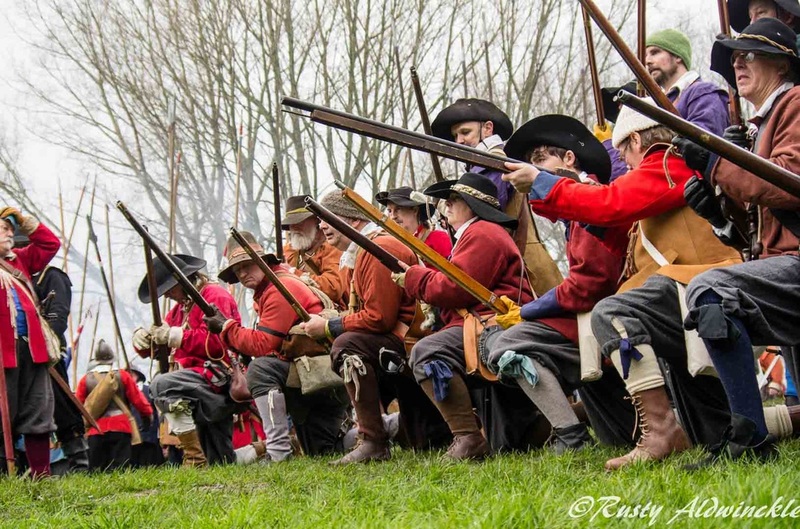 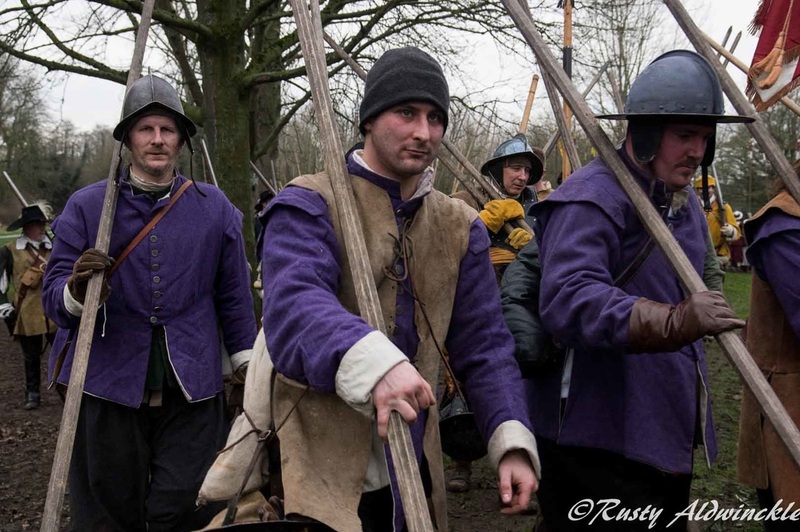 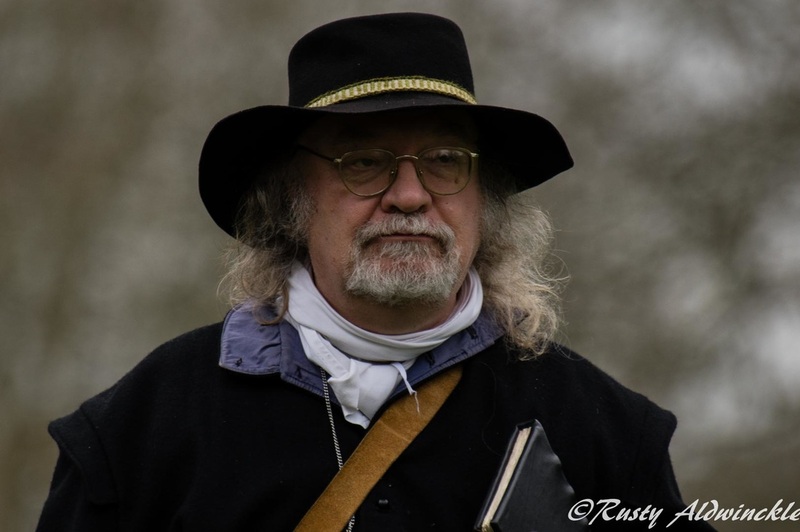 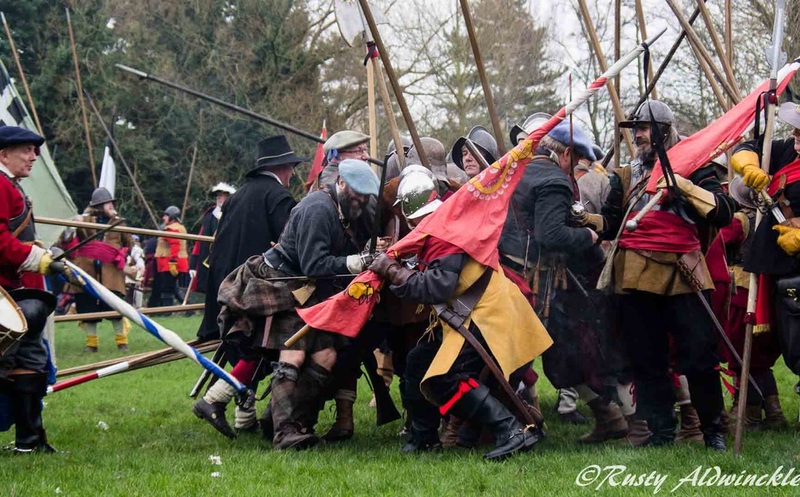 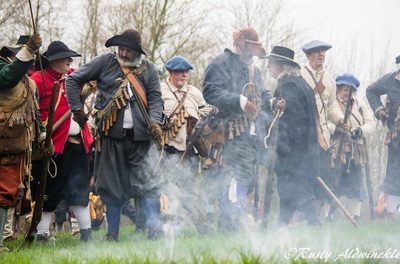 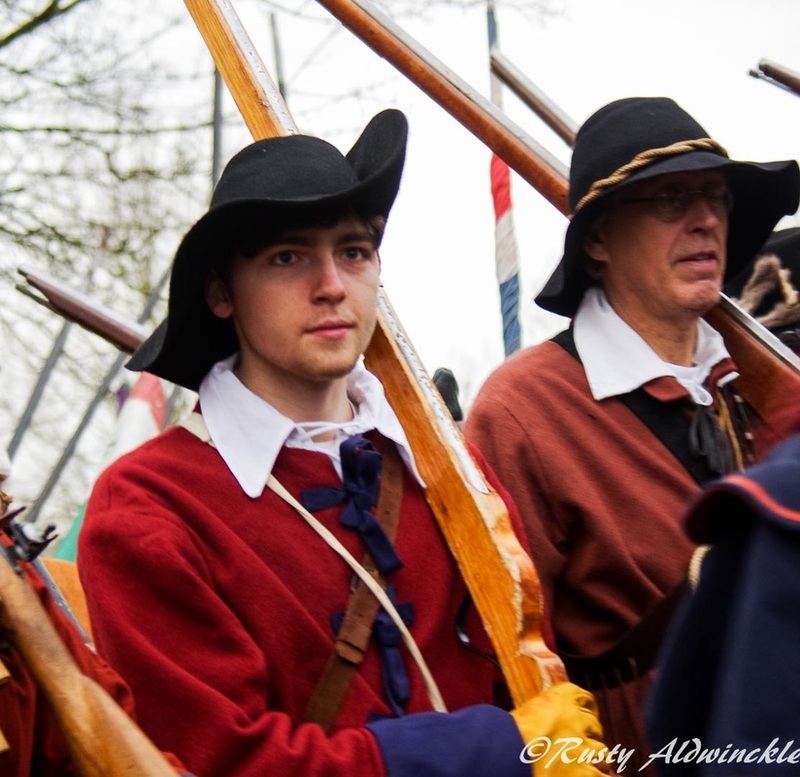 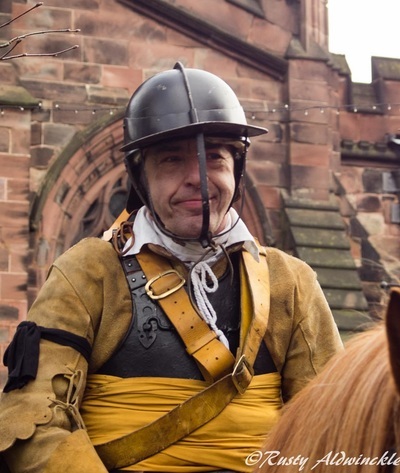 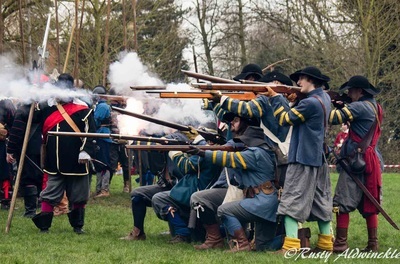 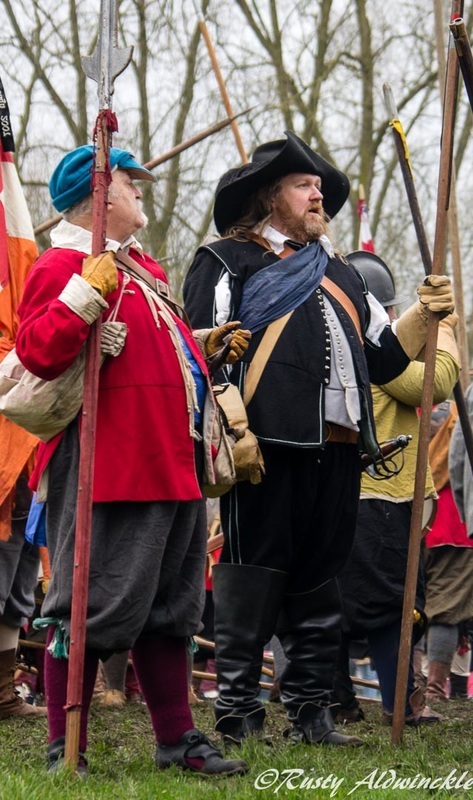 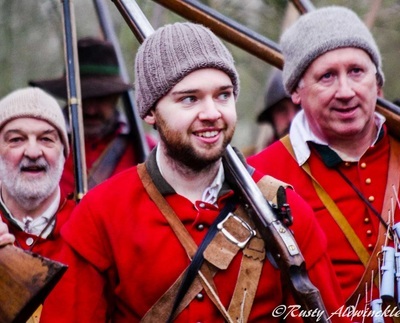 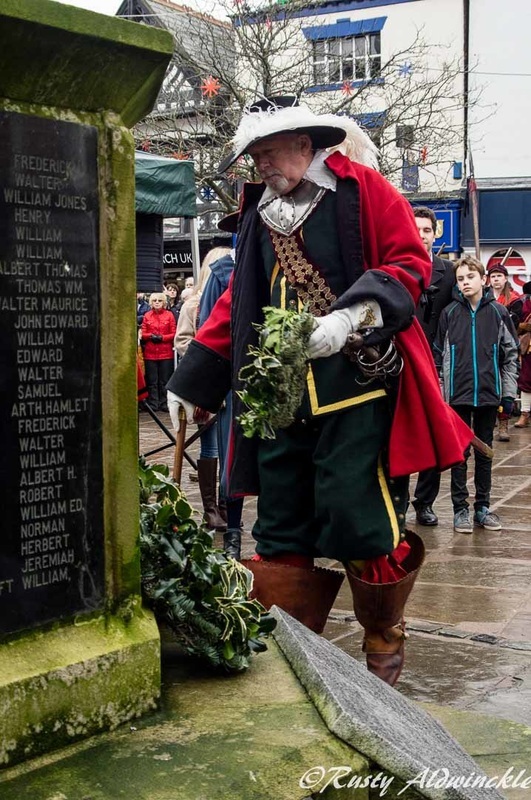 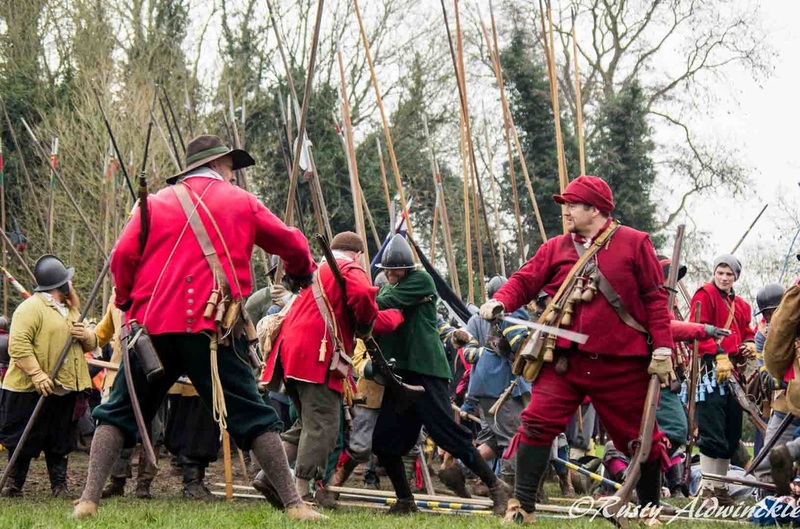 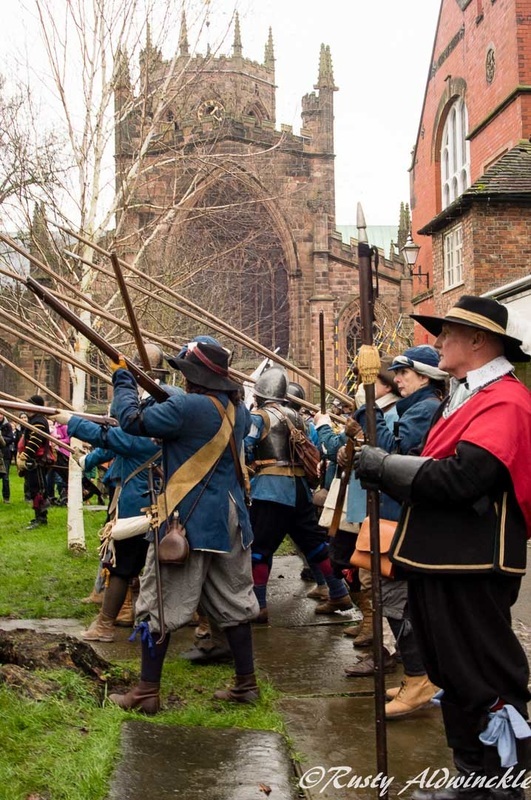 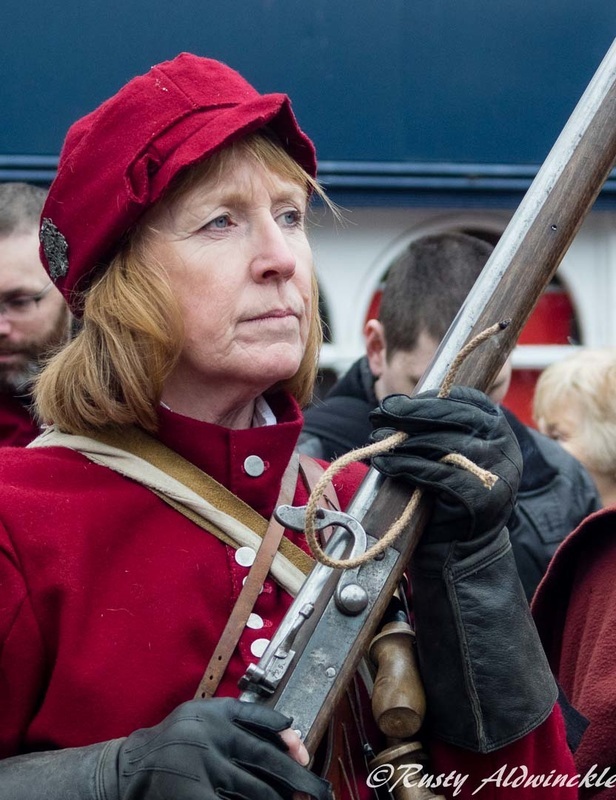 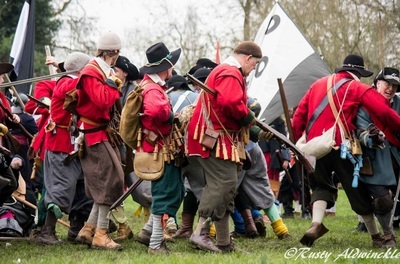 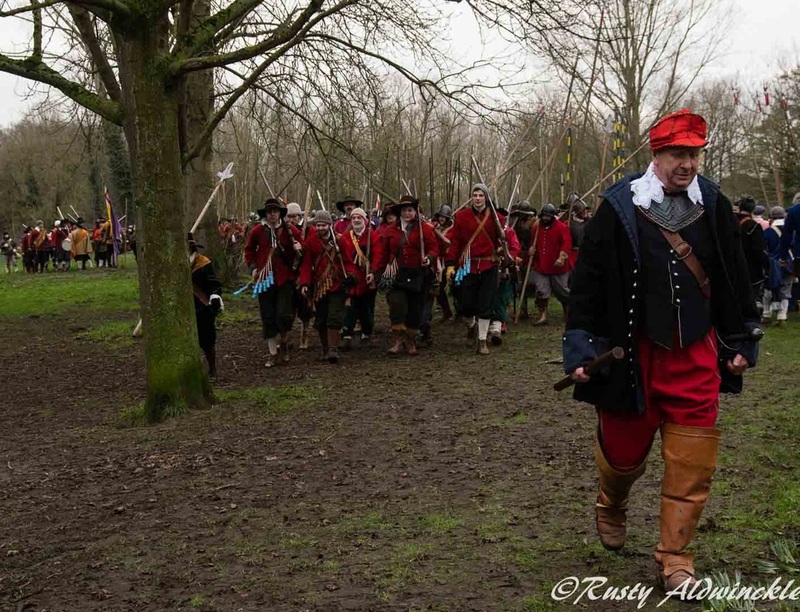 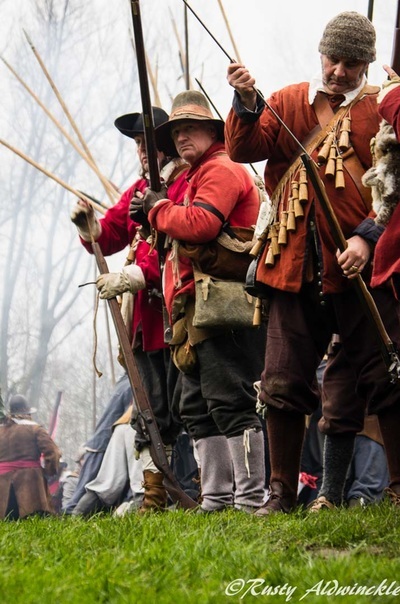 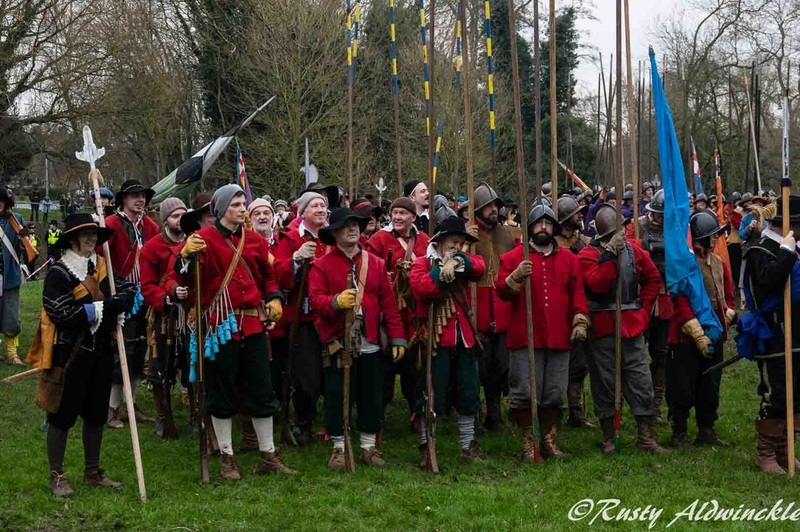 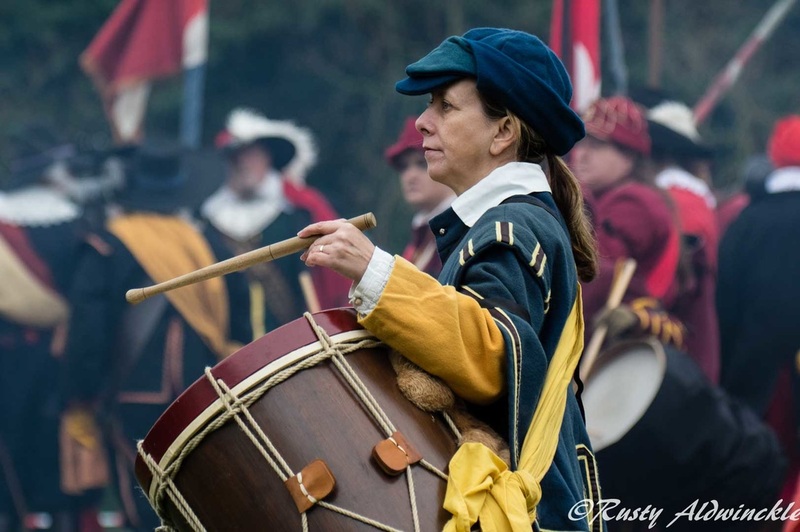 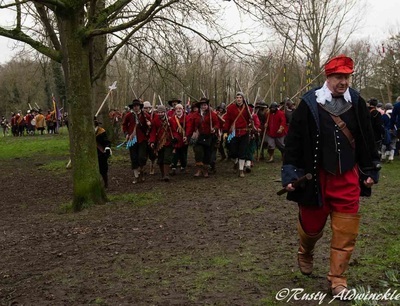 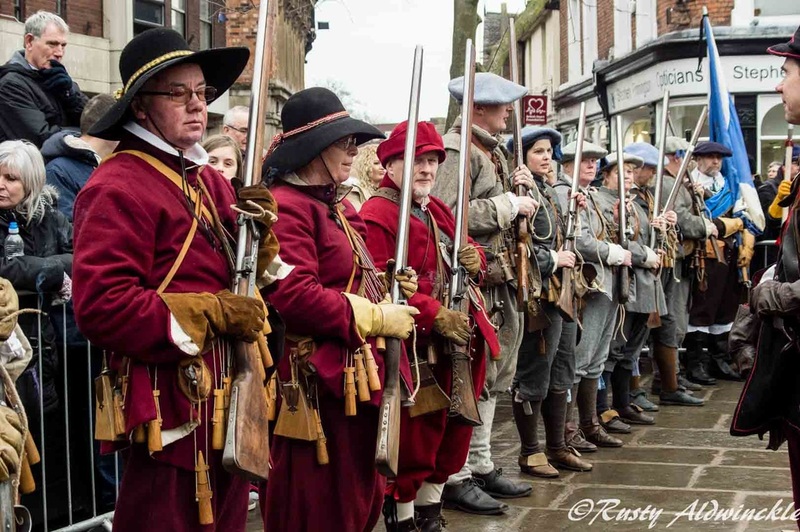 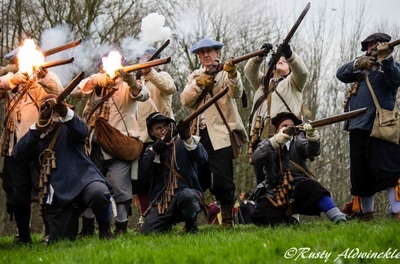 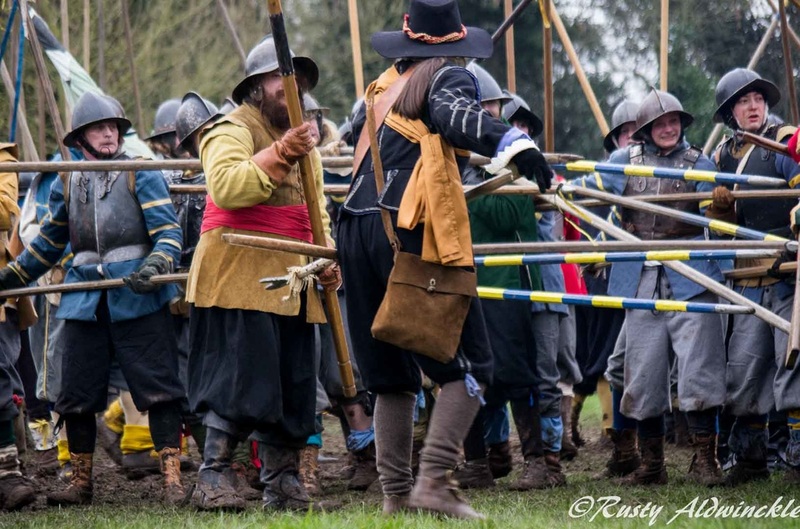 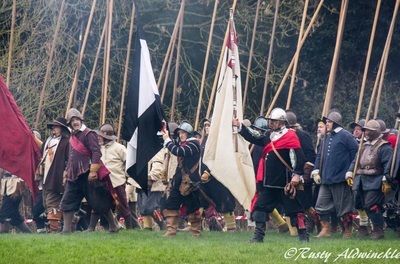 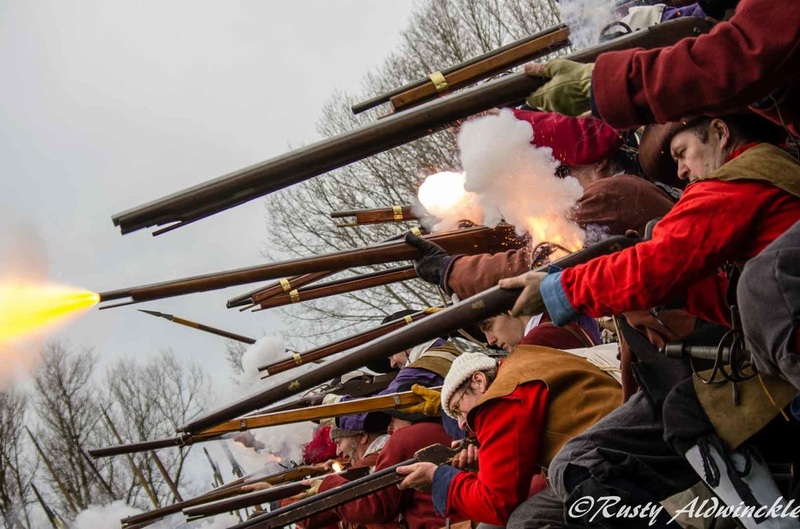 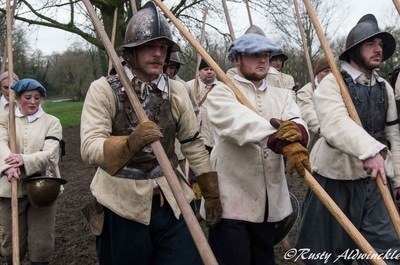 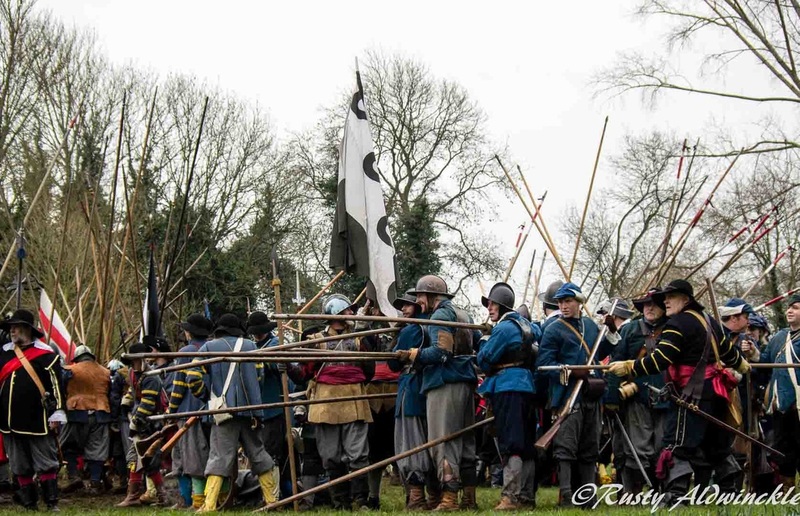 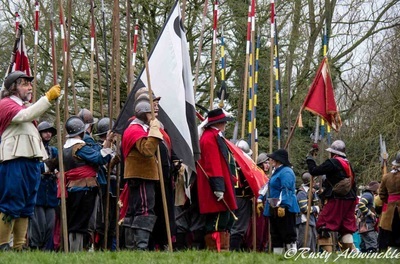 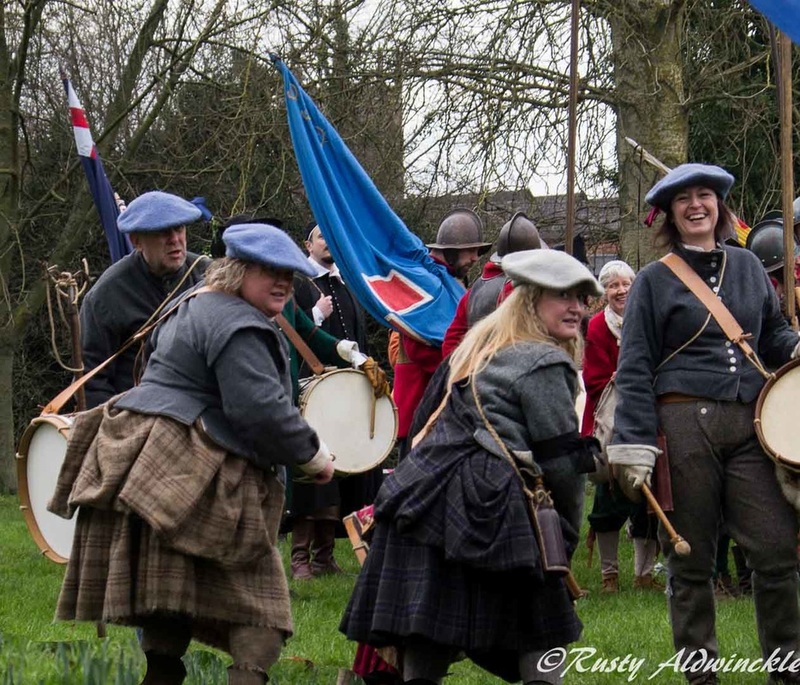 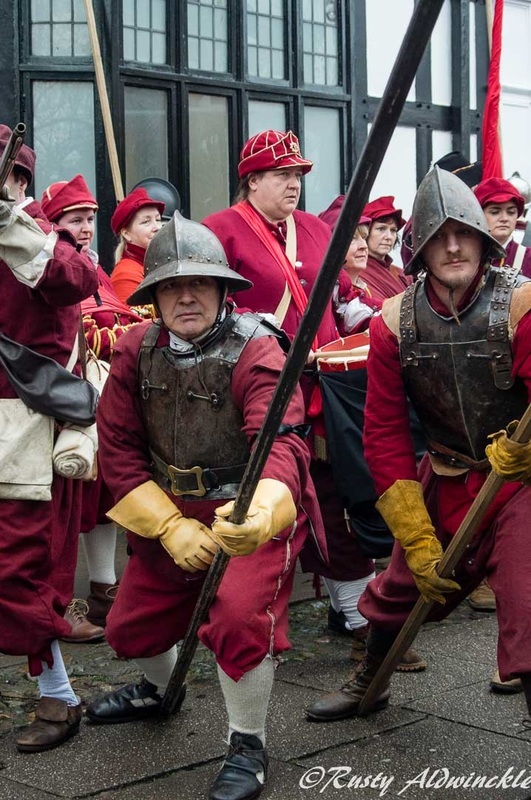 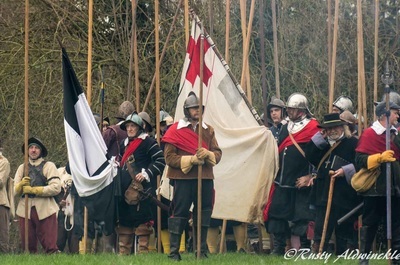 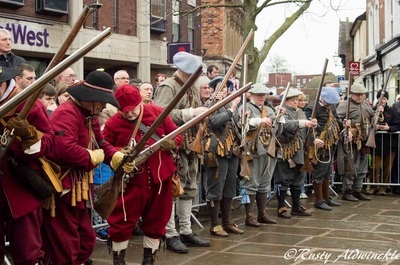 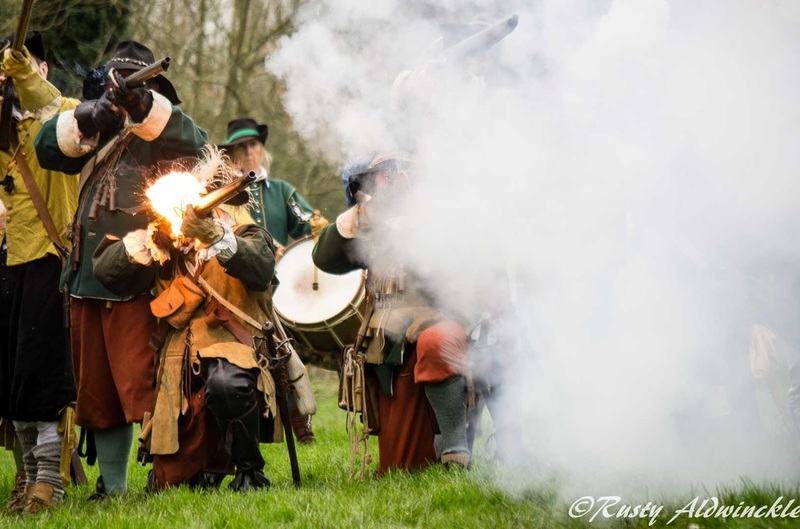 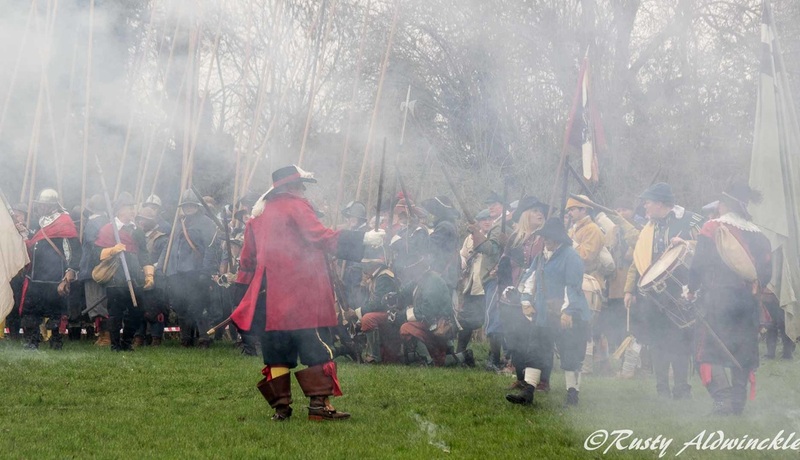 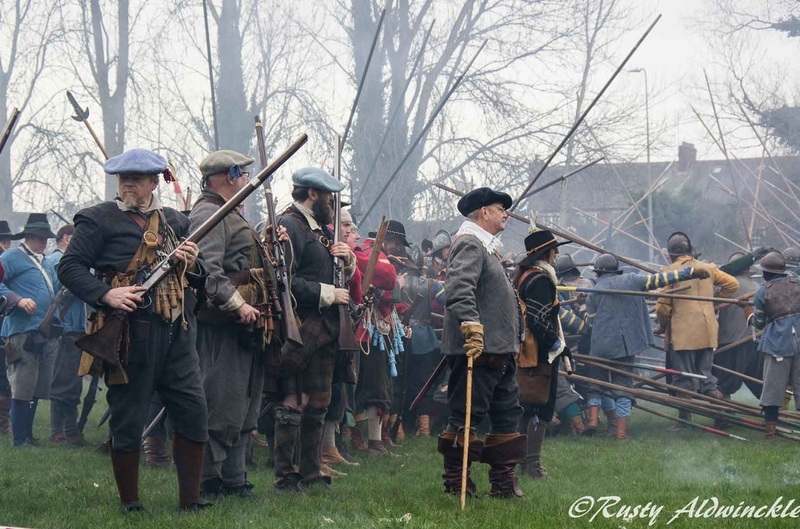 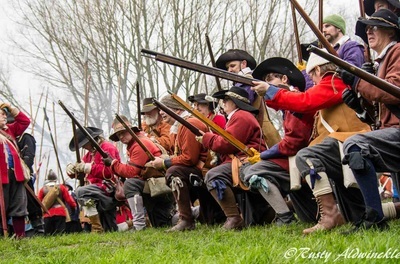 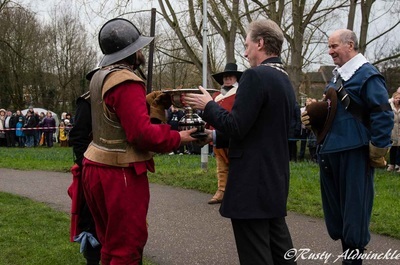 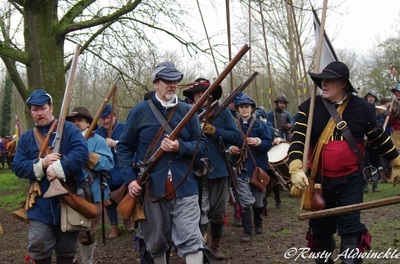 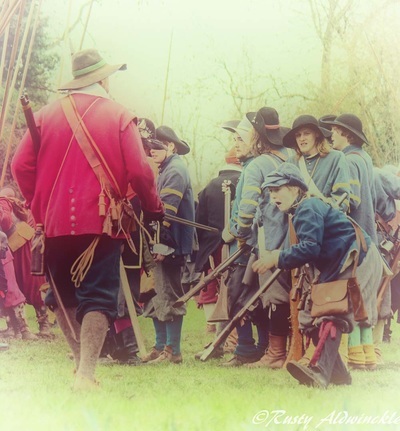 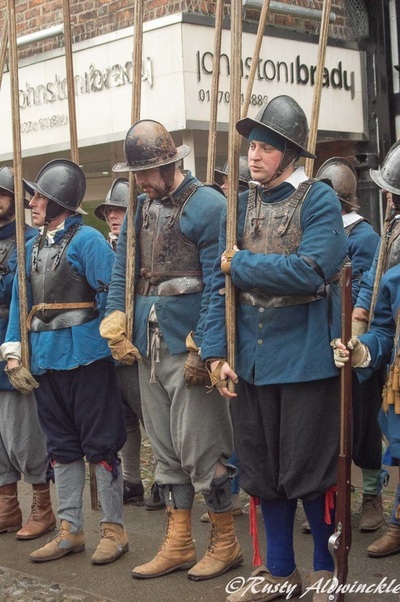 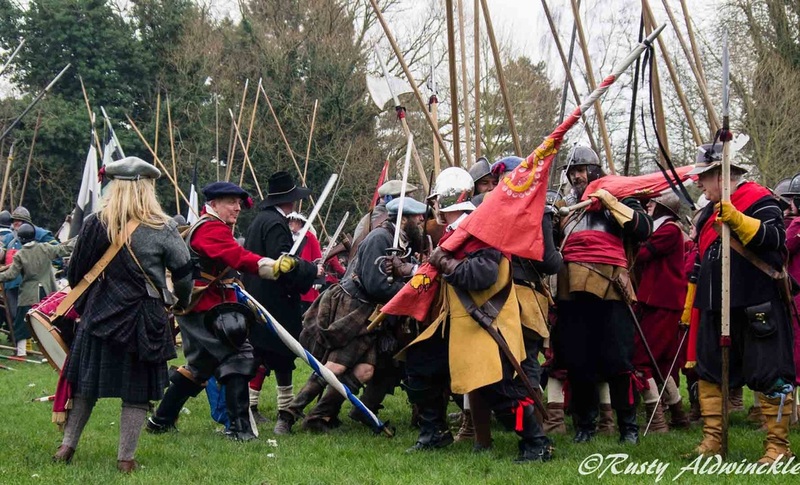 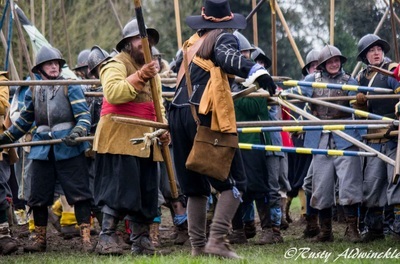 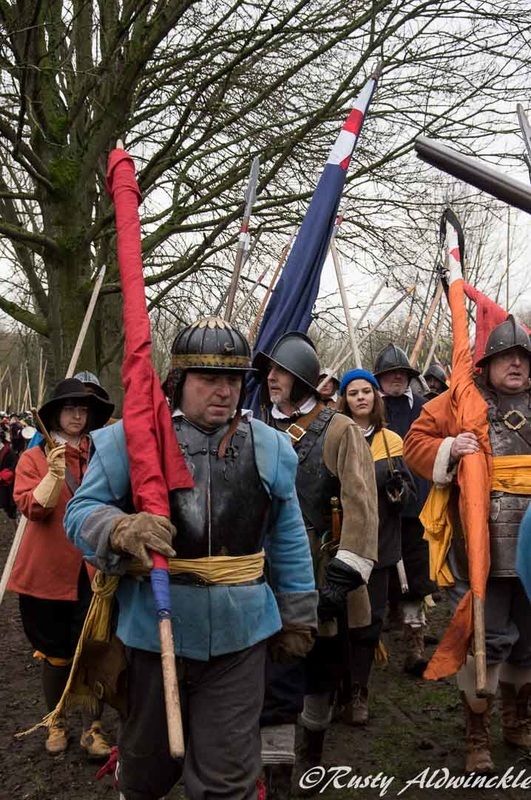 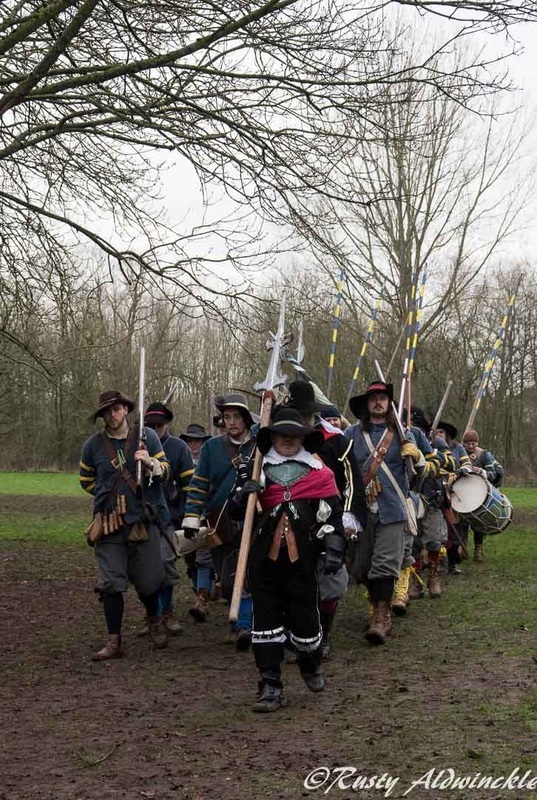 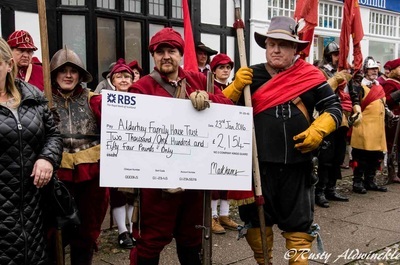 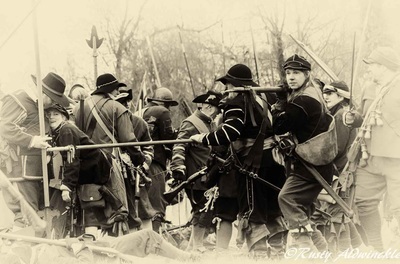 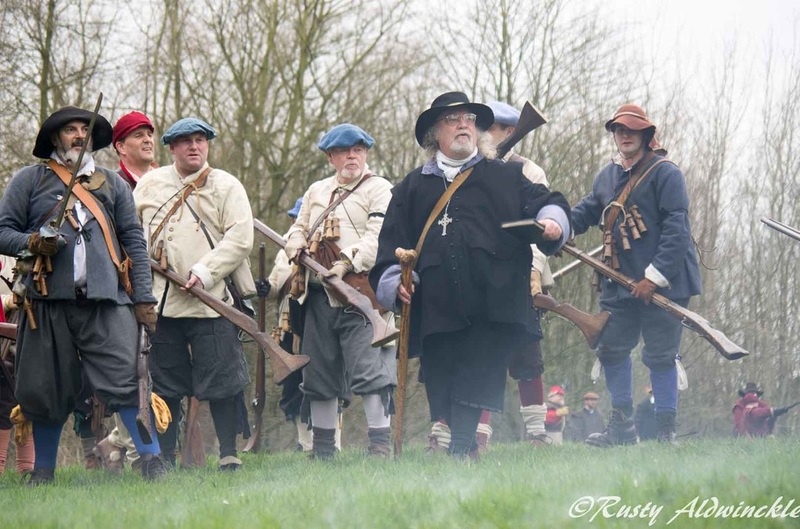 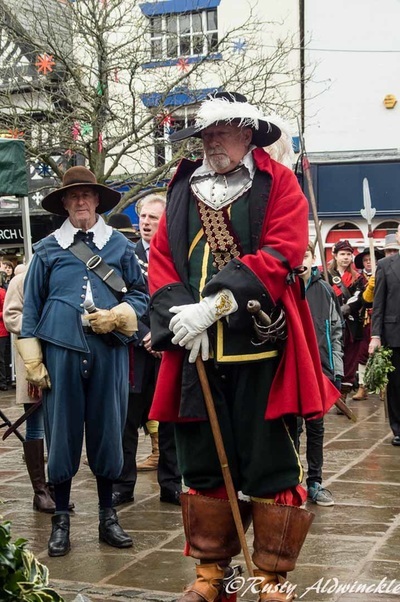 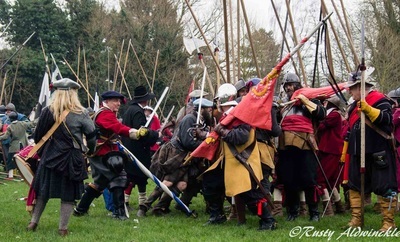 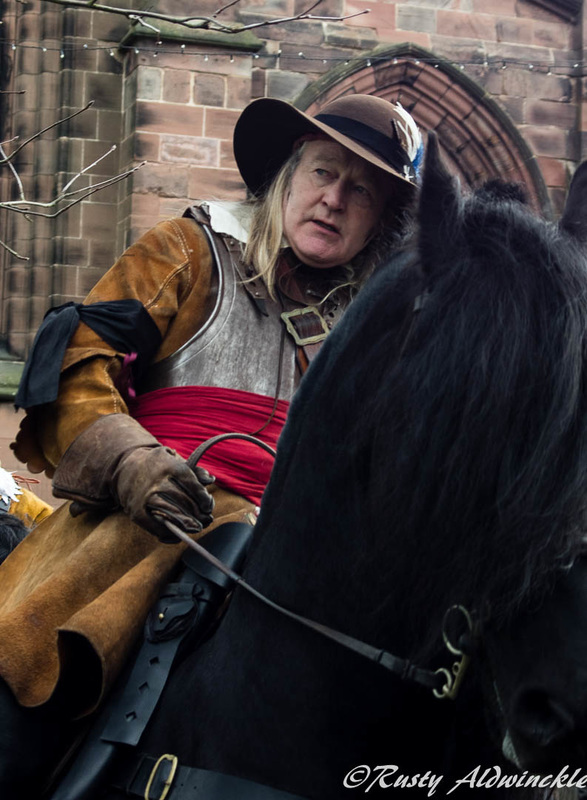 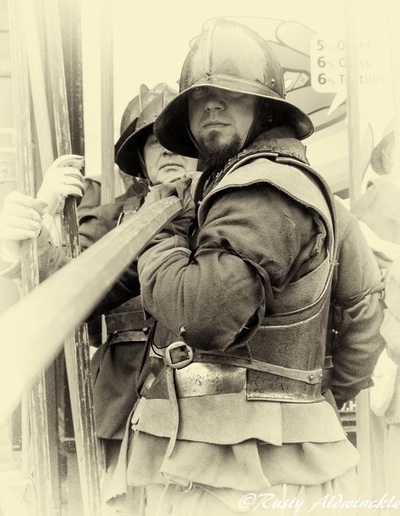 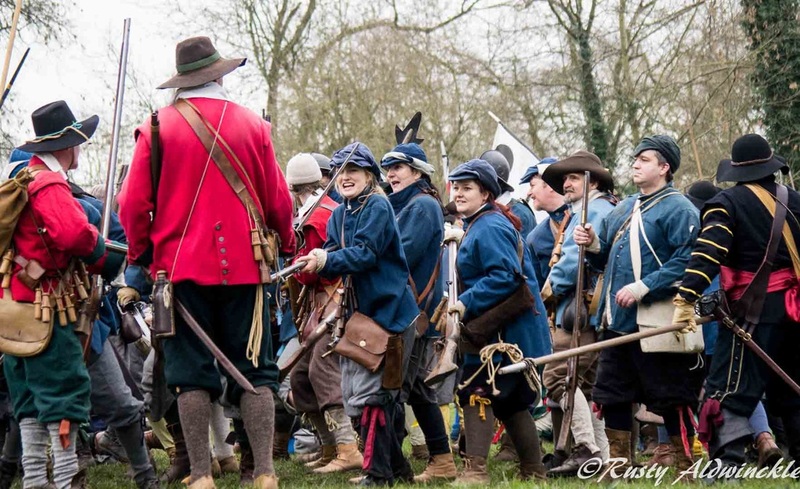 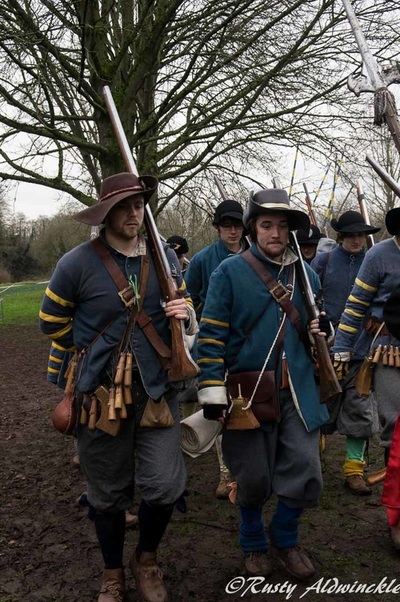 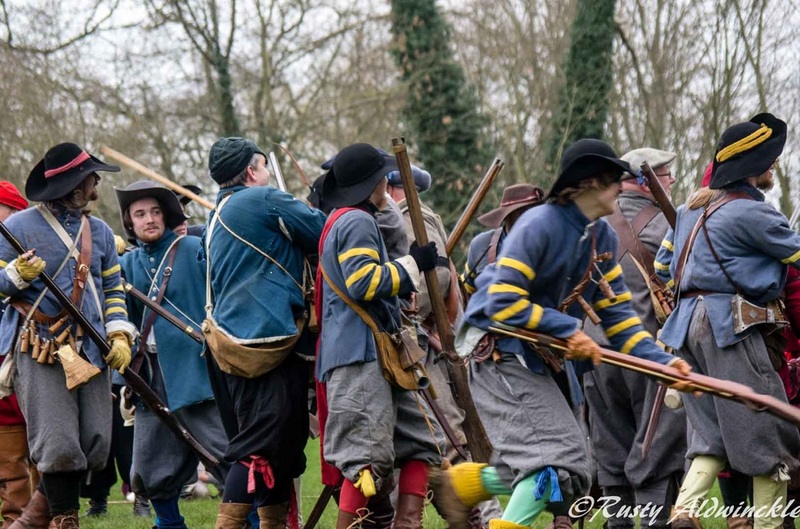 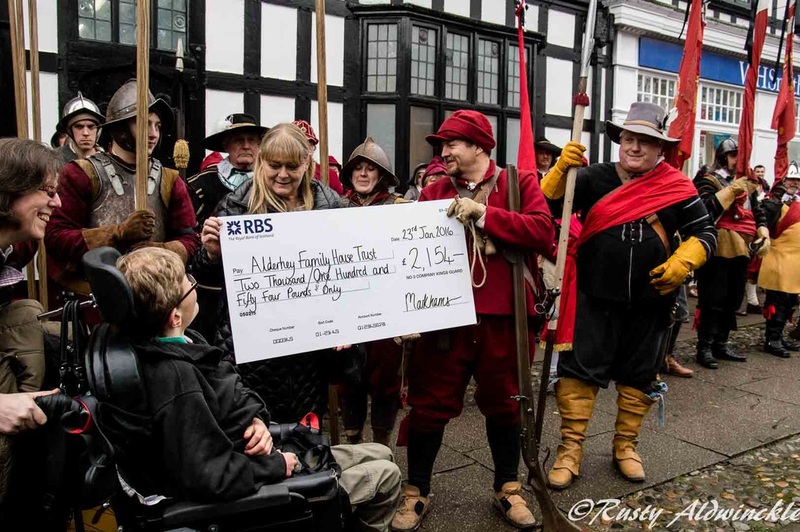 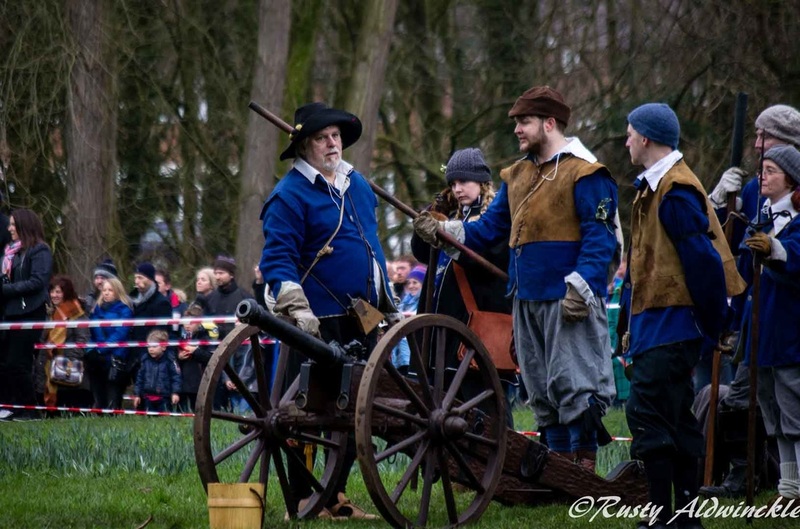 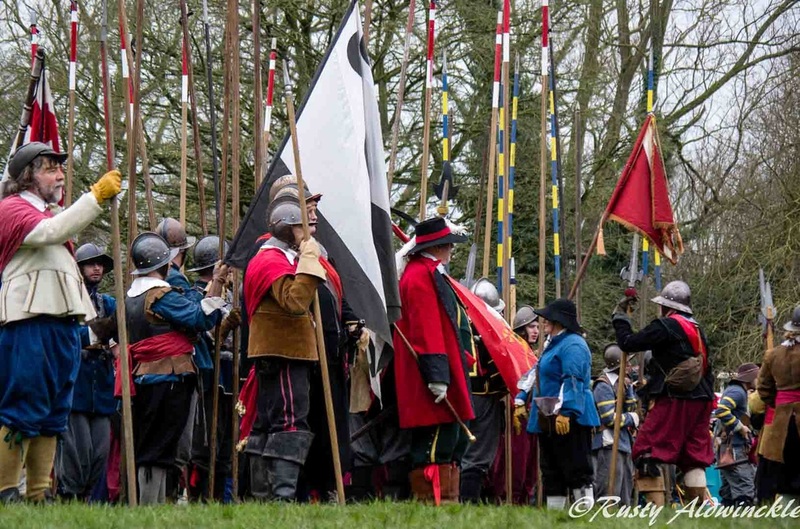 There should be a plethora of photos as it seemed every man and his dog had a camera so if you do have any great images the Sealed Knot would love too see them. 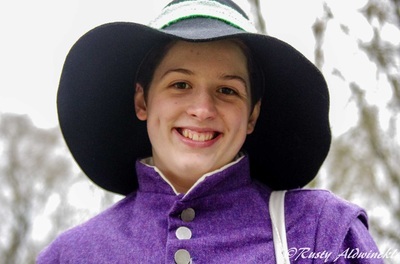 You can contact me through this website and I'll happily accept them.